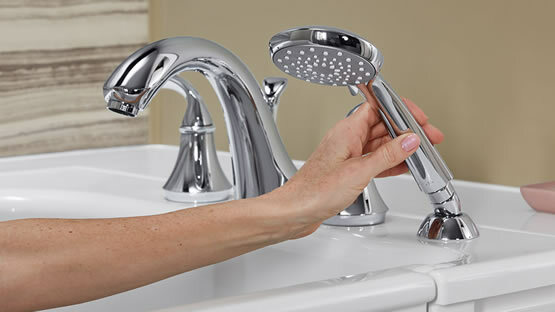 For many years, Kohler Company sold all of their superior products to plumbing distributors who then brought them to the public. 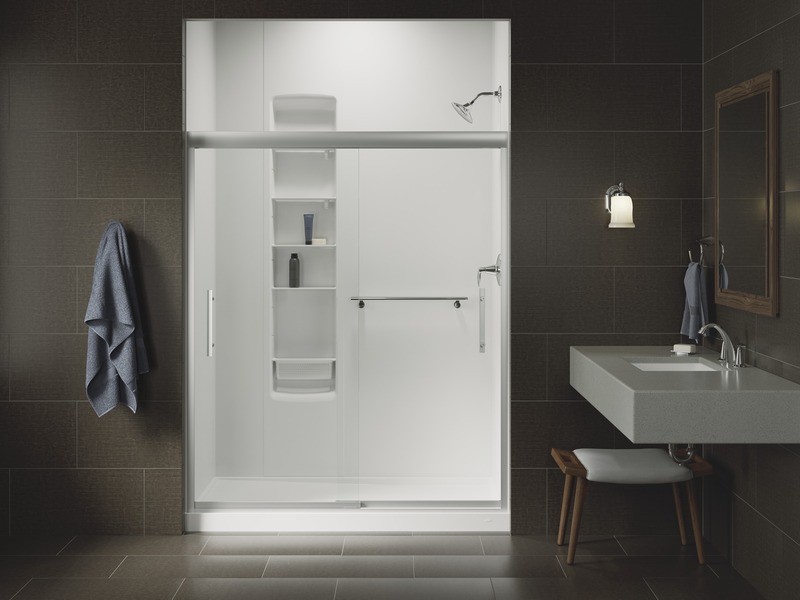 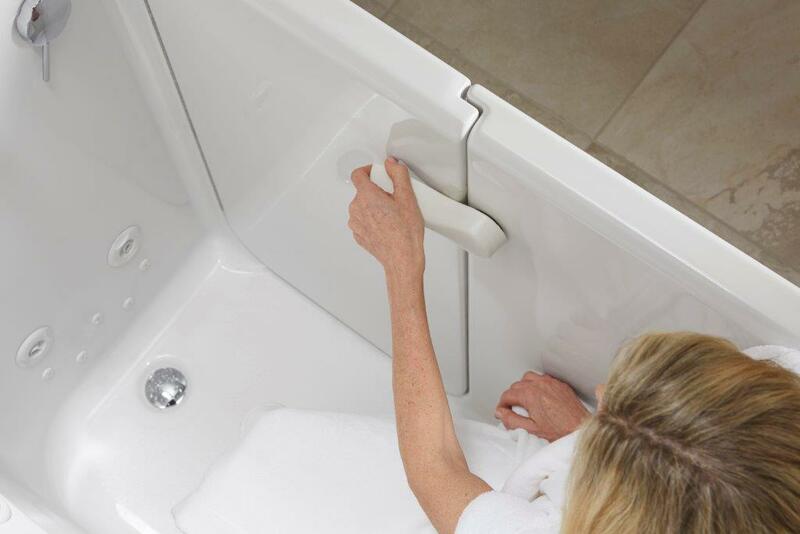 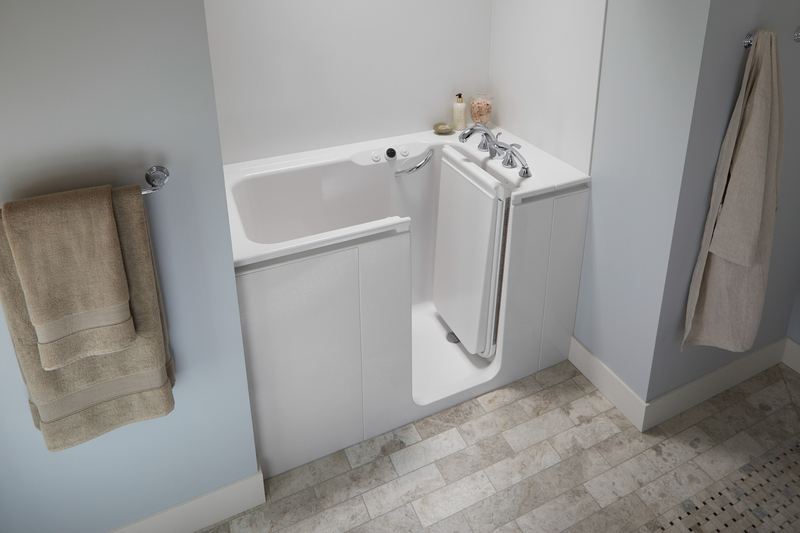 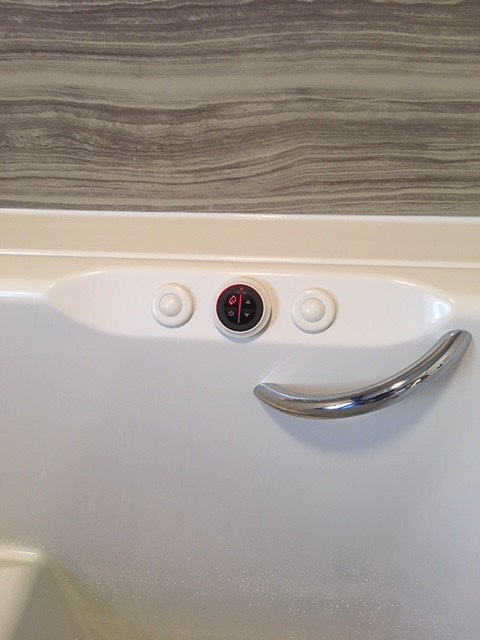 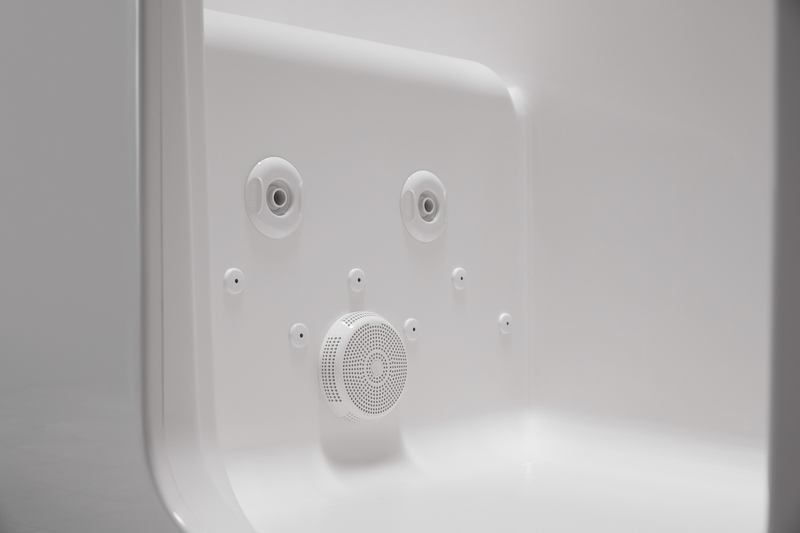 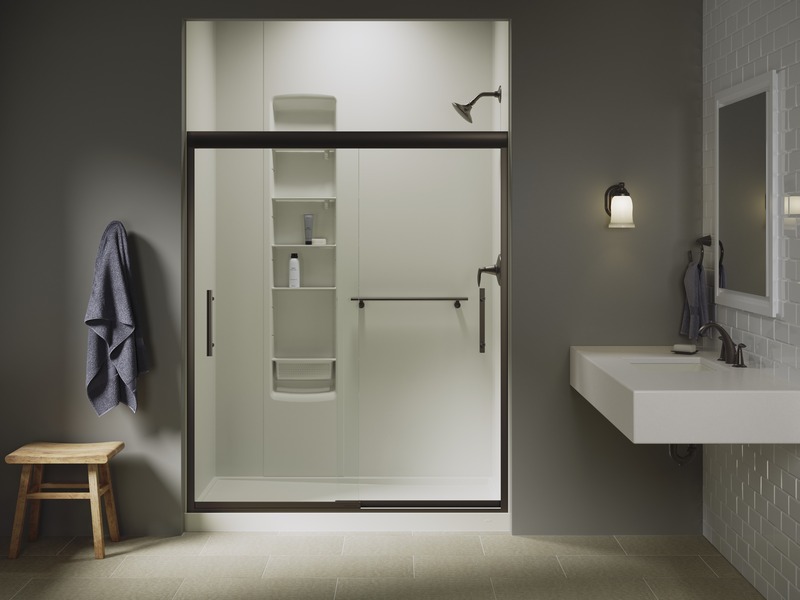 That changed in 2015 when Kohler decided they wanted to create the next level of customer satisfaction with a need for better accessibility, mobility and design options in baths and showers. 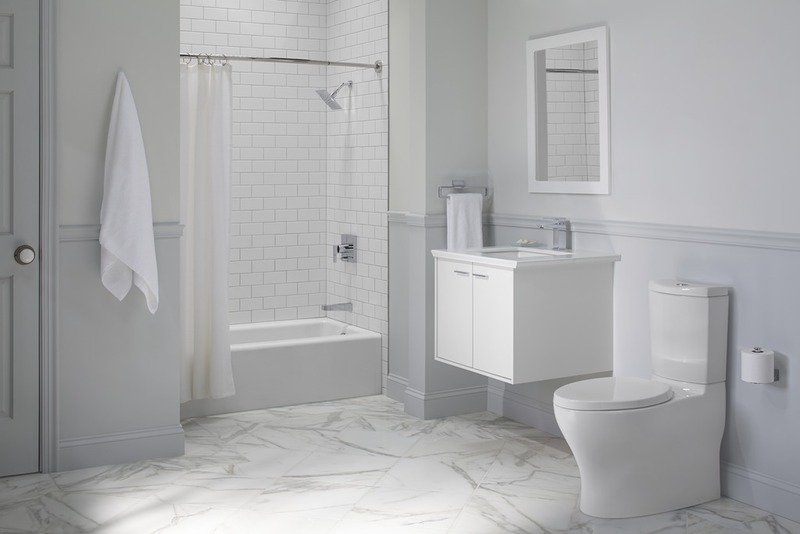 Kohler’s research showed that customers want and demand a manufacturer that stands behind its products by not only offering warranties on the products but on the LABOR as well! 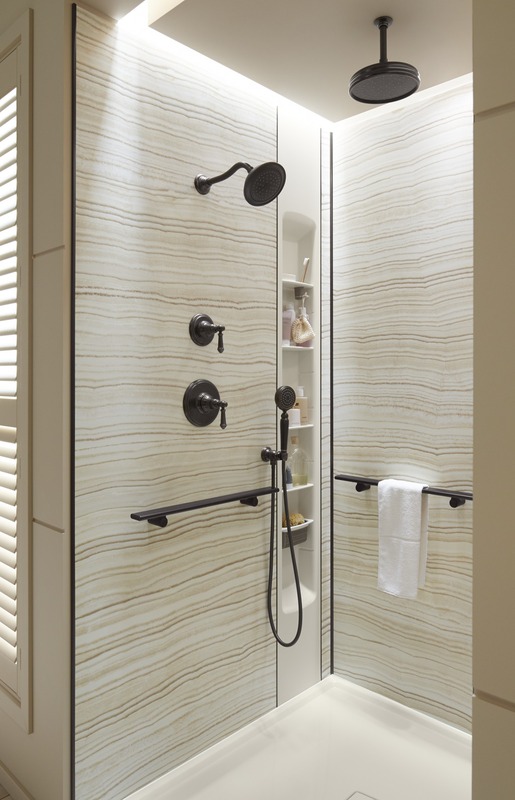 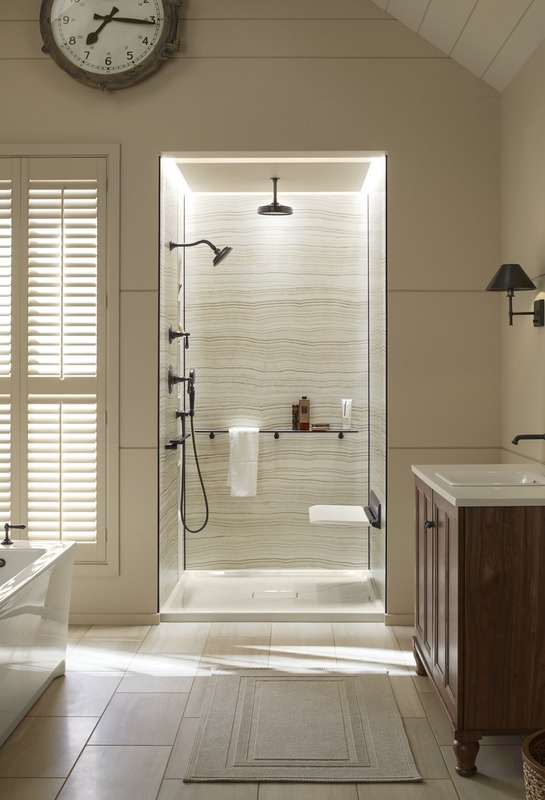 Kohler created the Belay Walk-In Bath and LuxStone Shower Systems which, unlike any other Kohler products, would be sold and installed by Kohler certified Dealers. 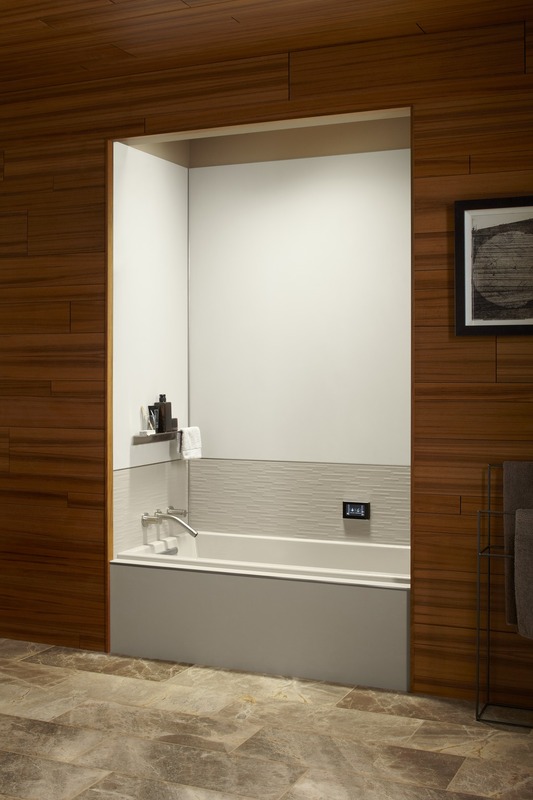 This entailed creating a network of exclusive, authorized Dealers across America. 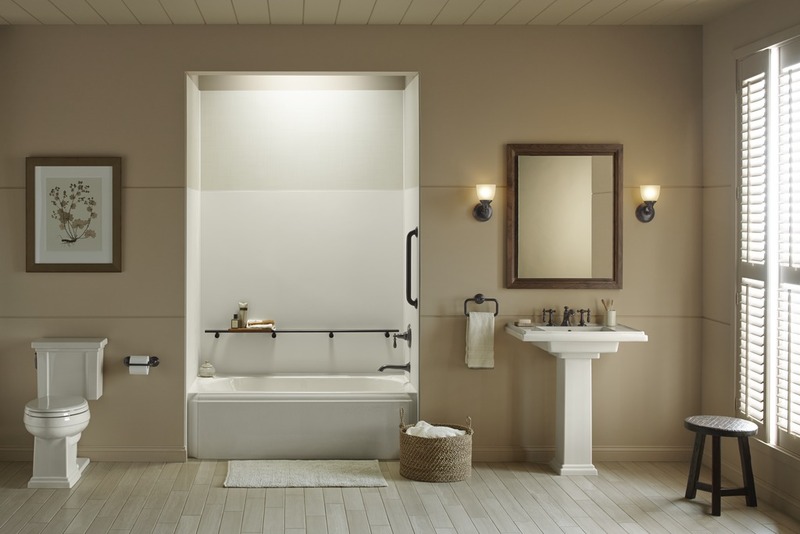 Kohler analyzed which remodeling companies could sell and install these products while keeping up the Kohler Company standards and expectations. 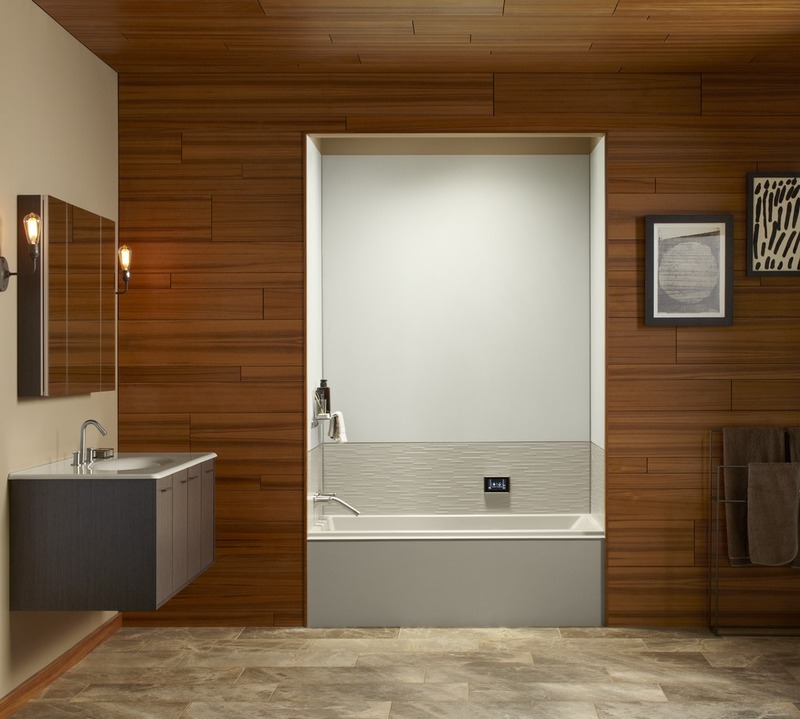 Currently, there are less than 25 certified Kohler Belay Walk-In Bath Dealers as well as Kohler LuxStone Shower Dealers. 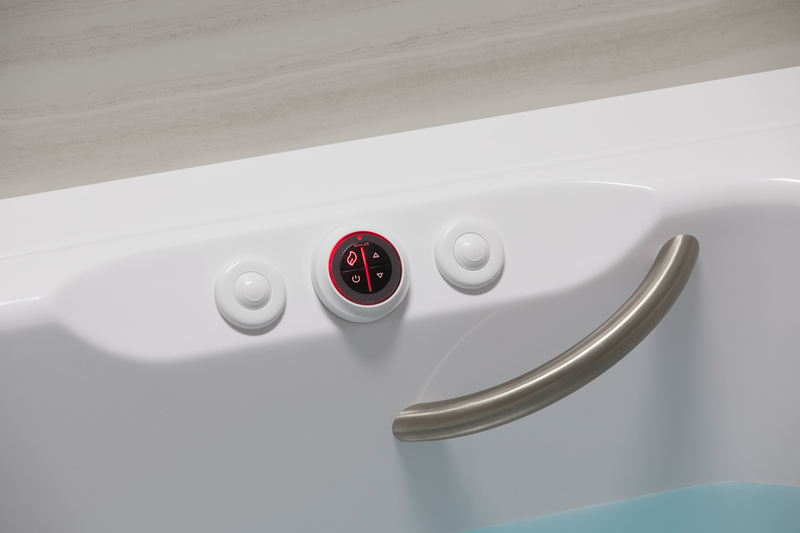 Home Smart is proud to be one of those select few. 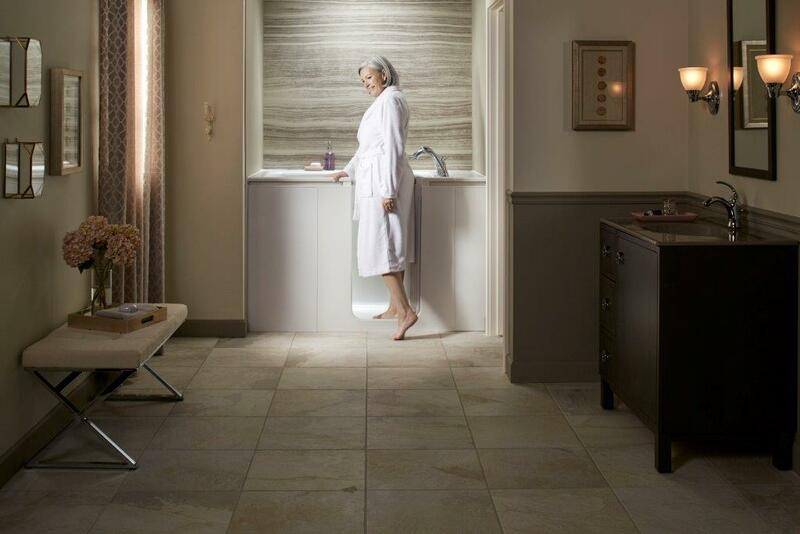 Home Smart Kohler Dealer. 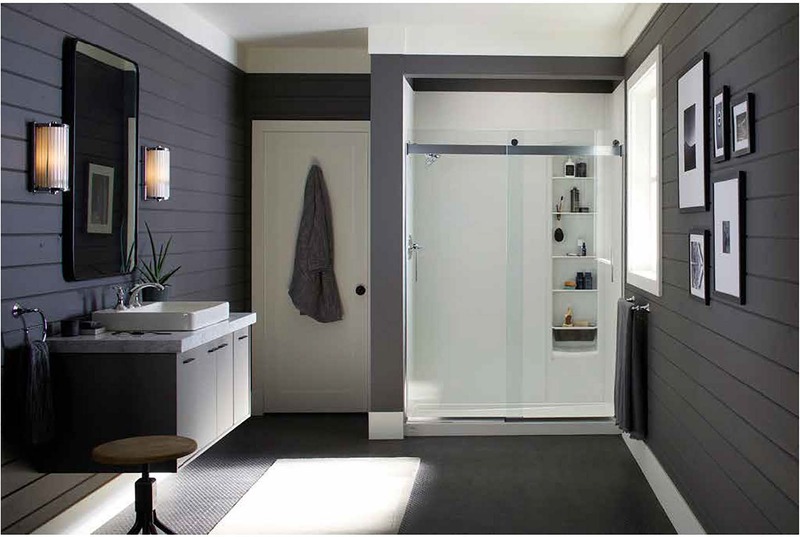 Why was Home Smart chosen over all the other hundreds of thousands of contractors throughout the US? 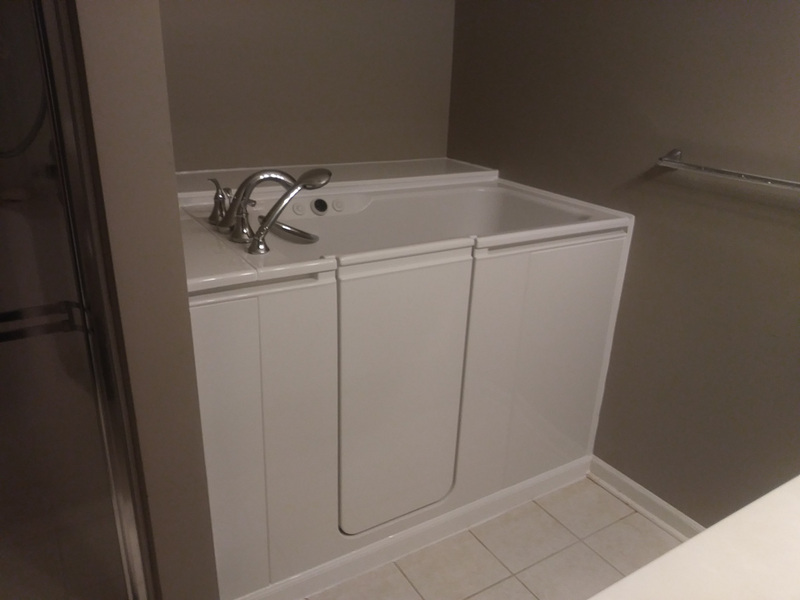 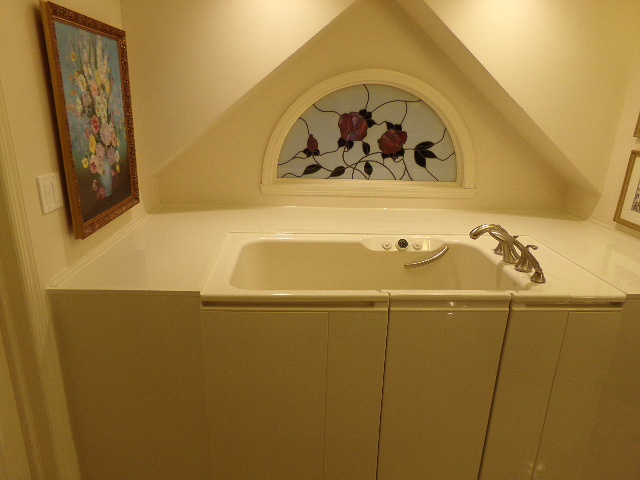 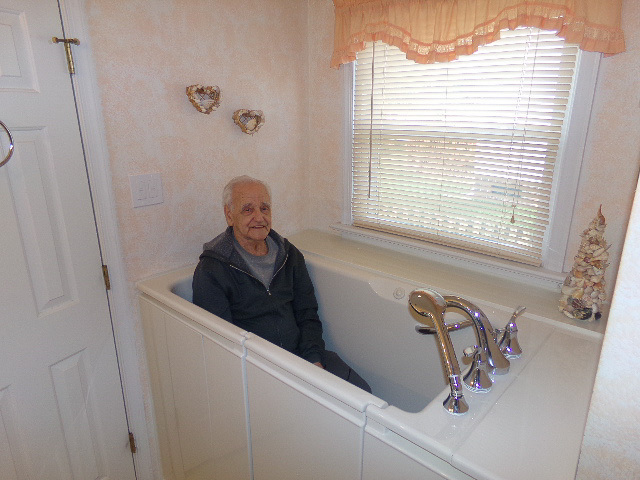 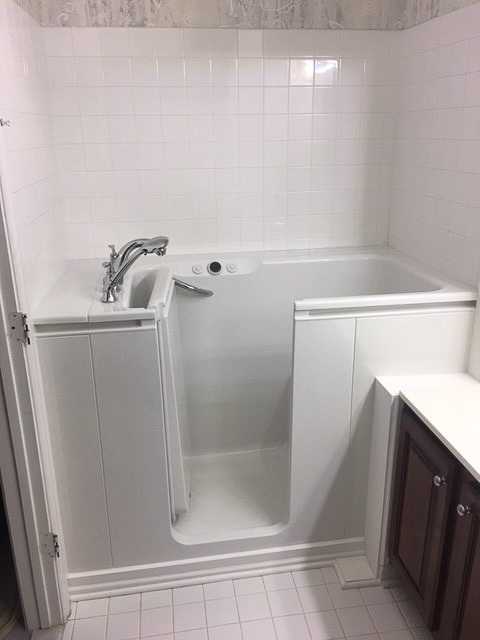 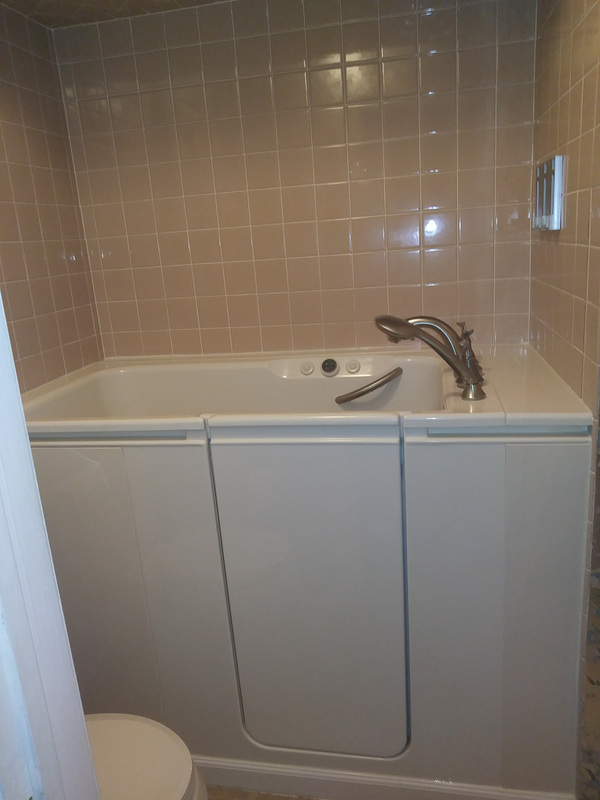 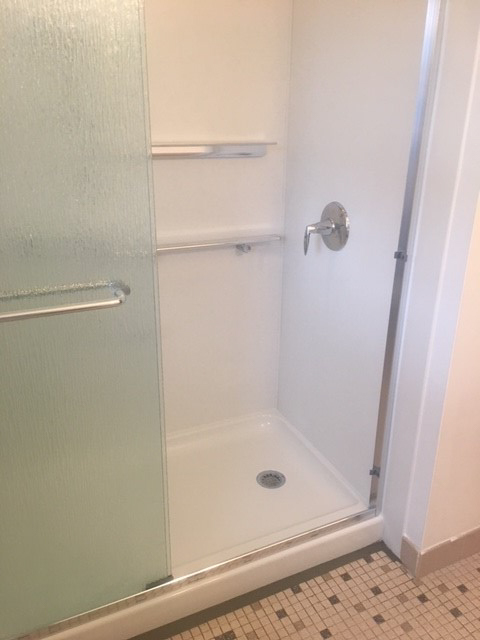 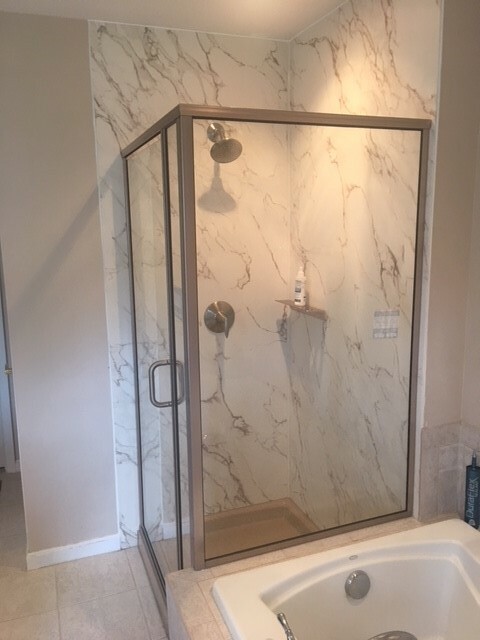 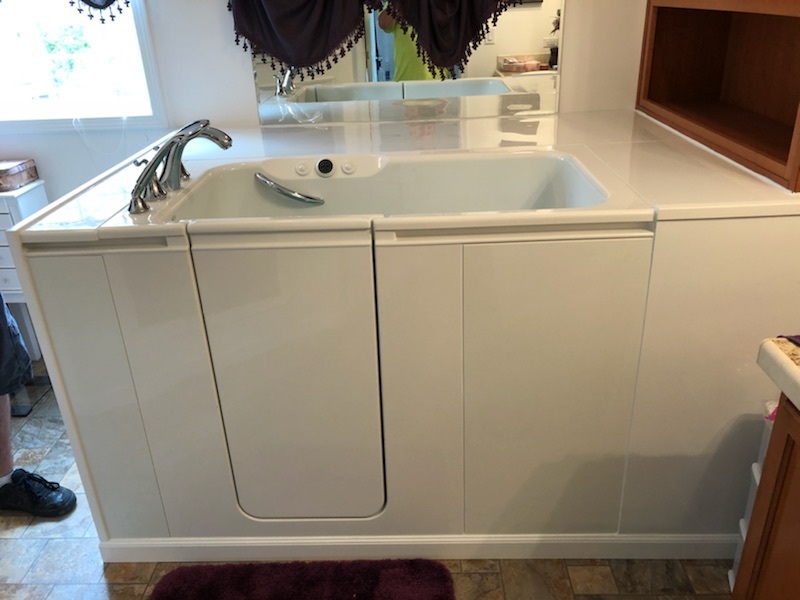 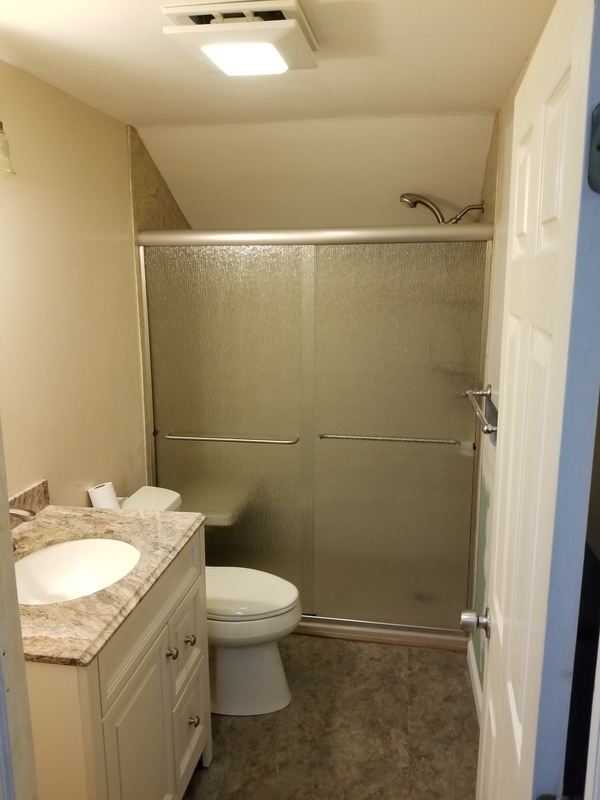 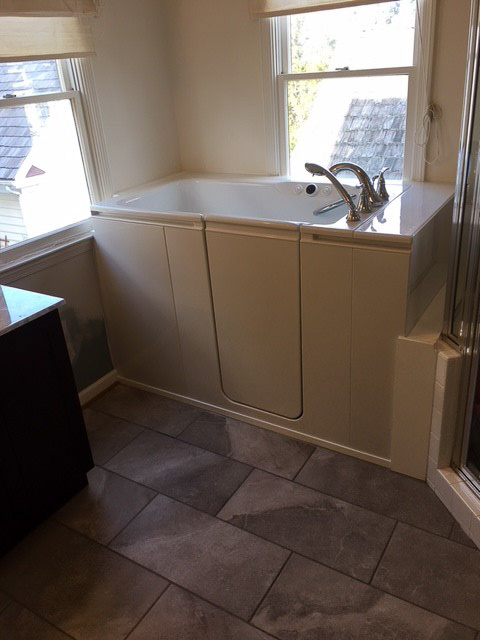 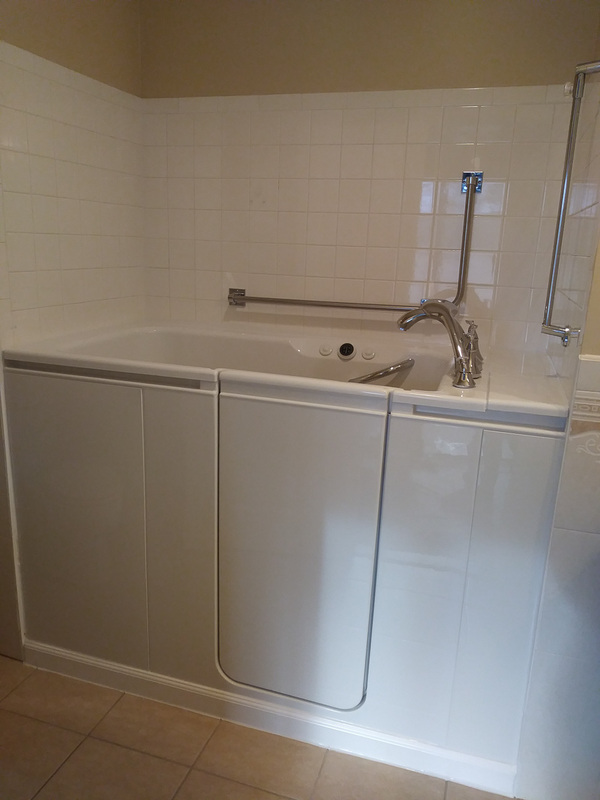 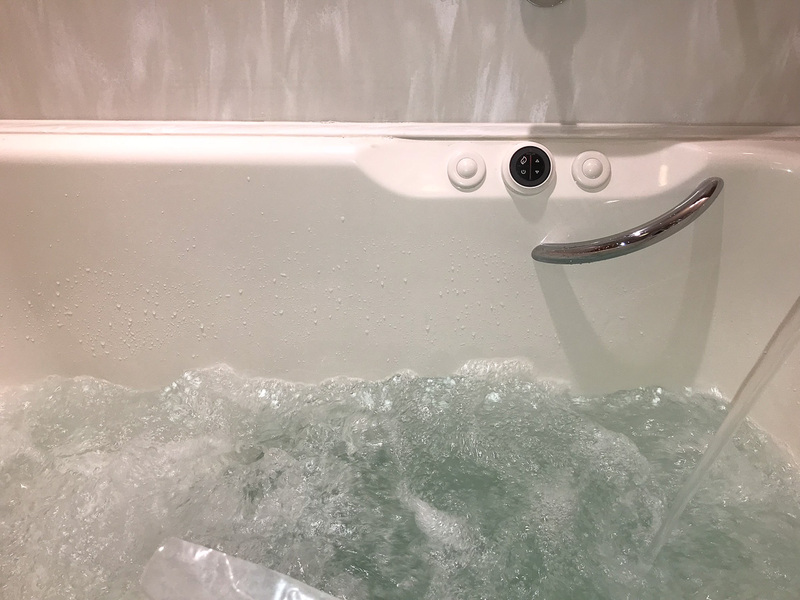 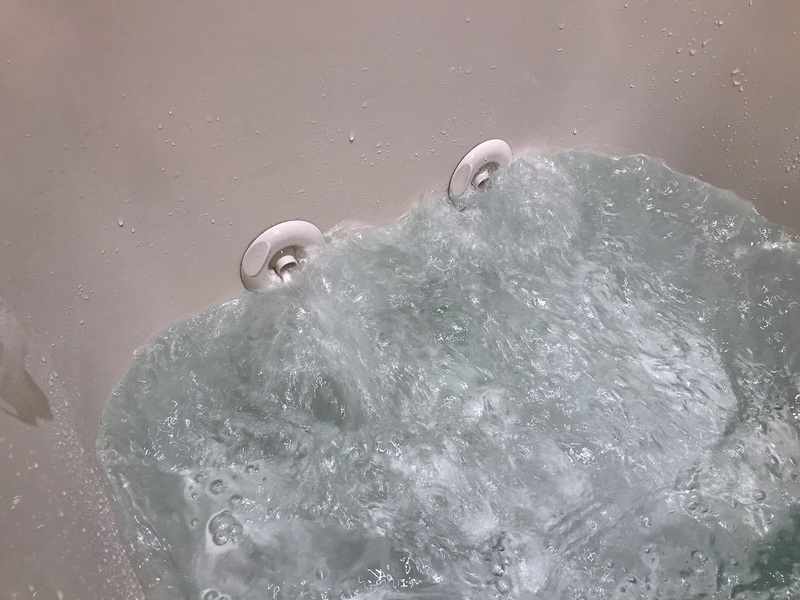 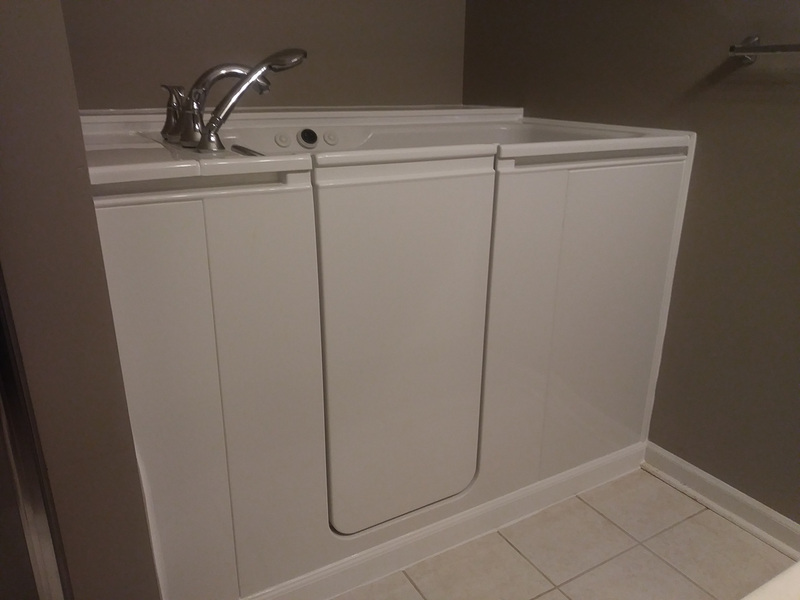 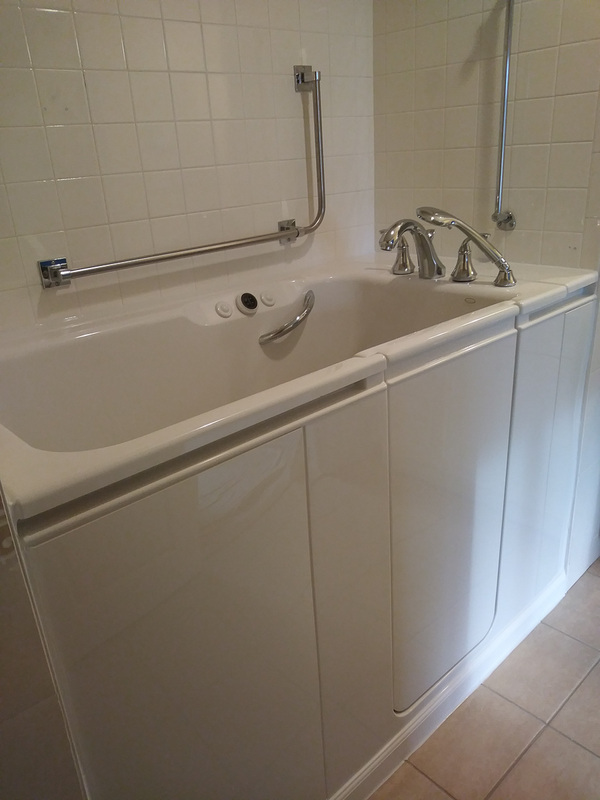 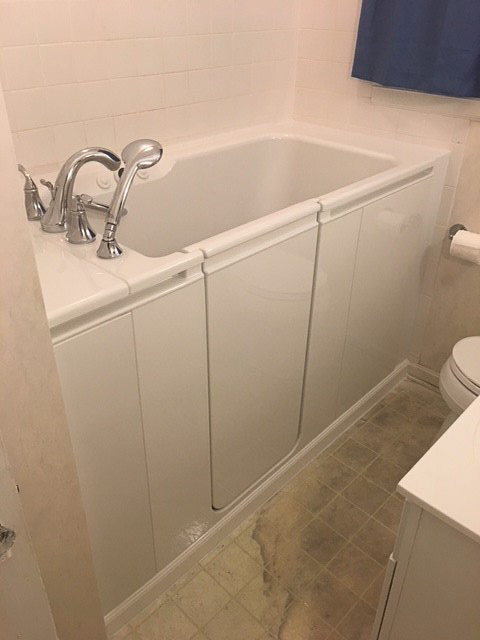 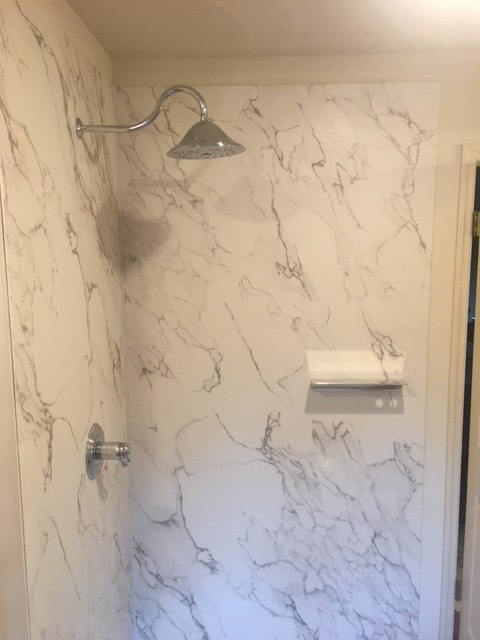 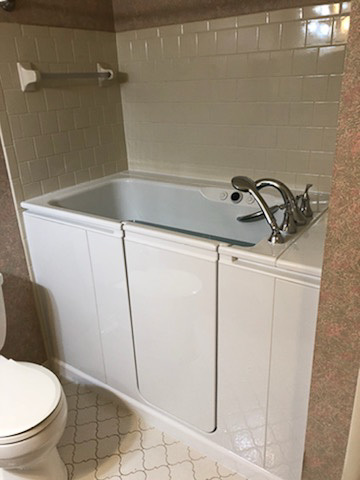 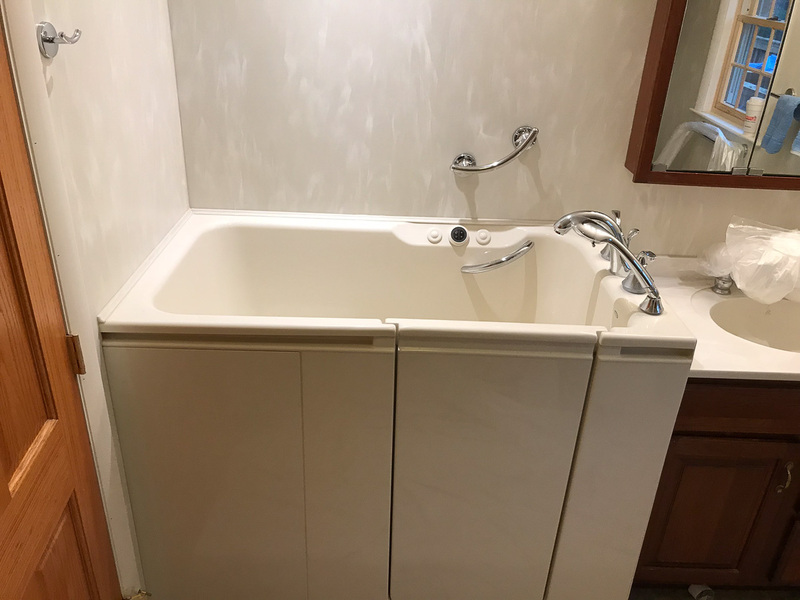 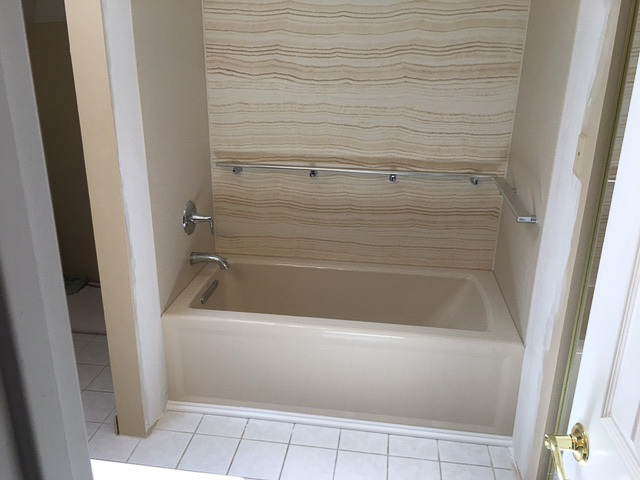 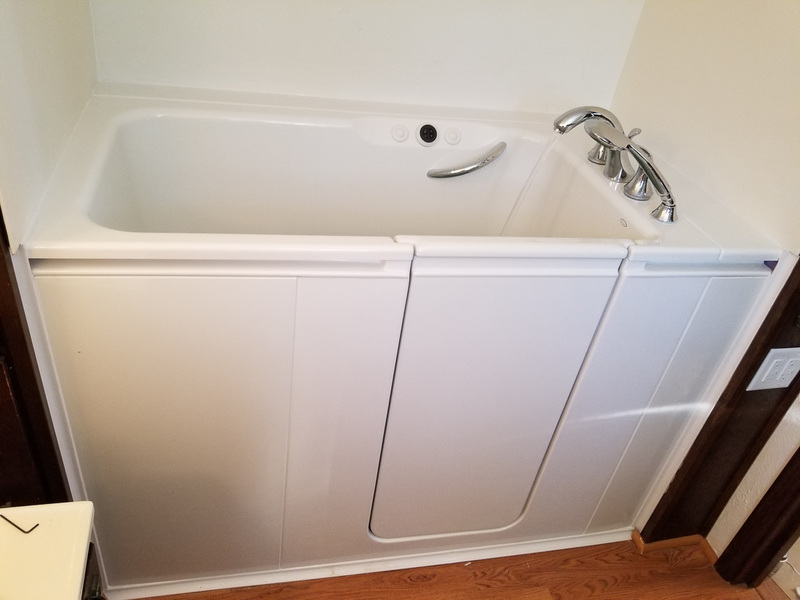 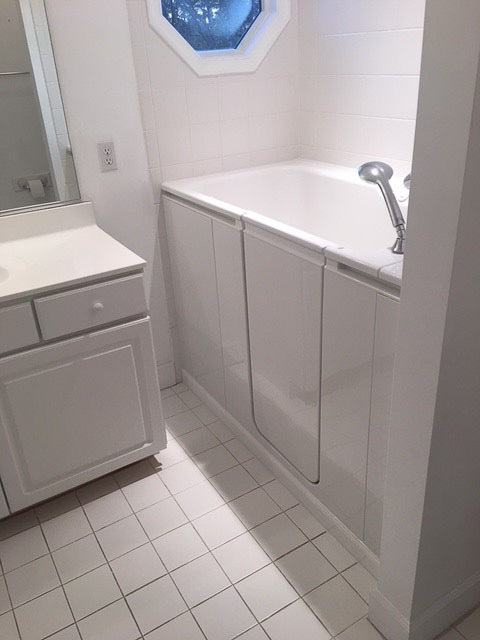 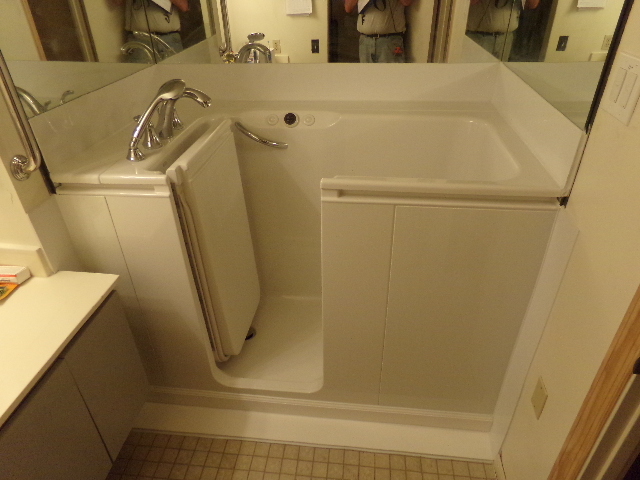 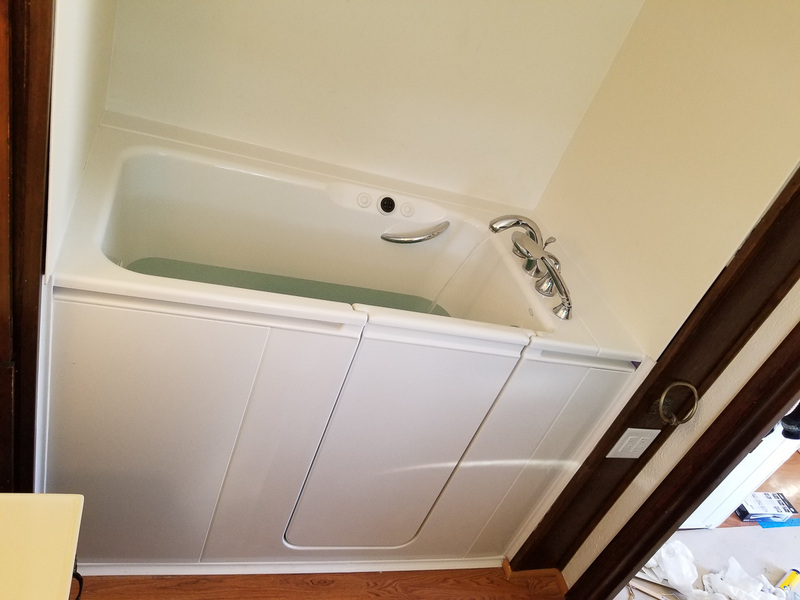 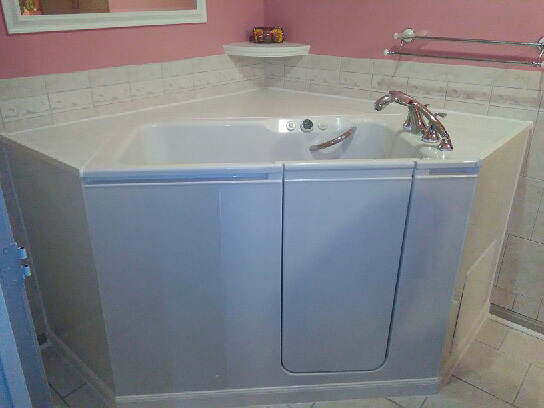 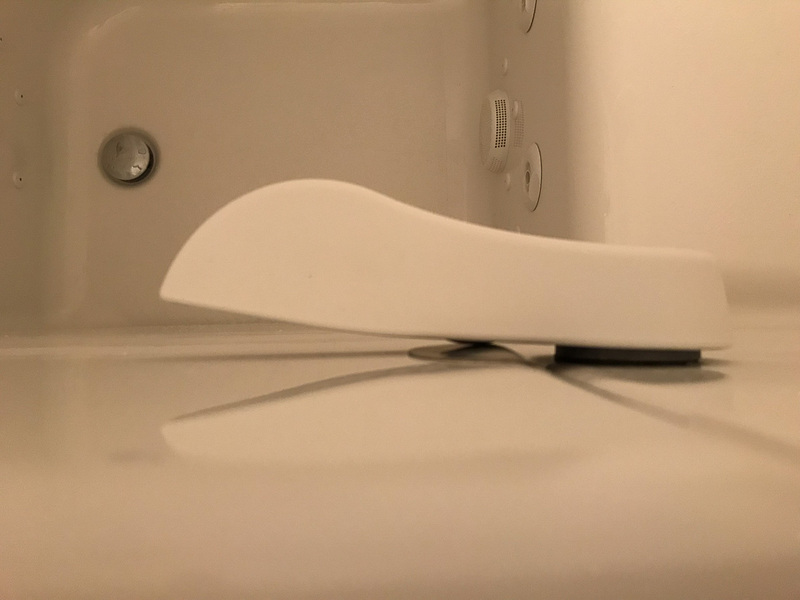 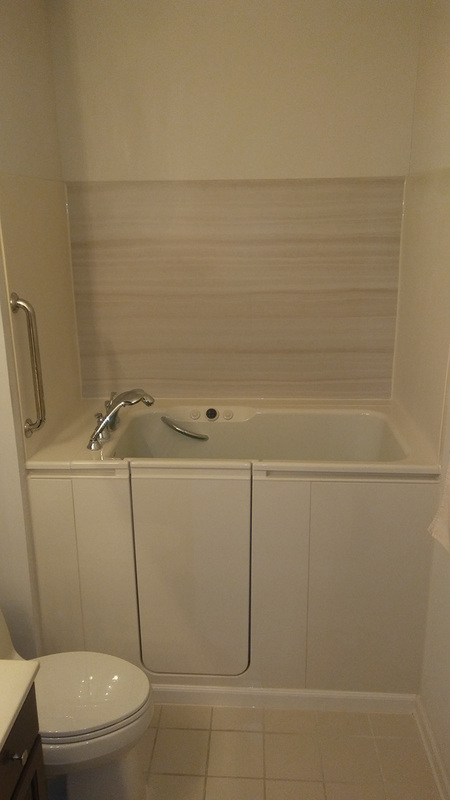 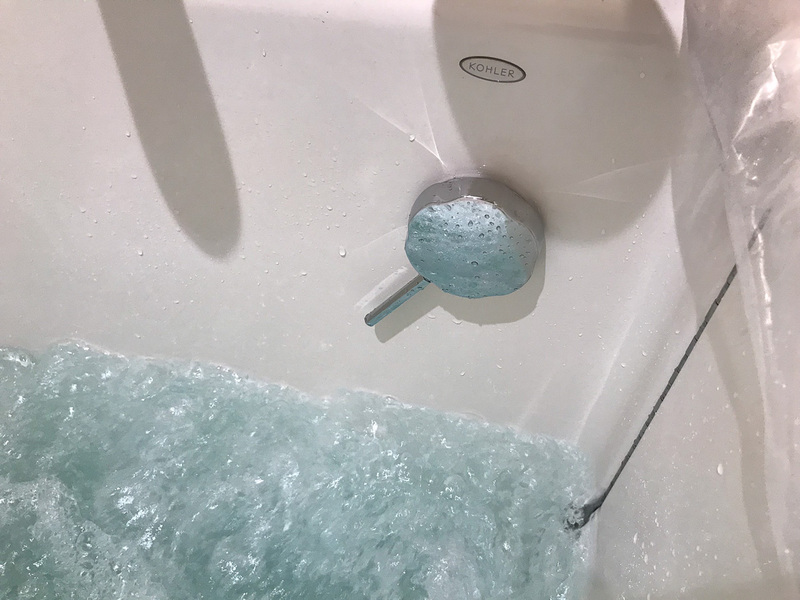 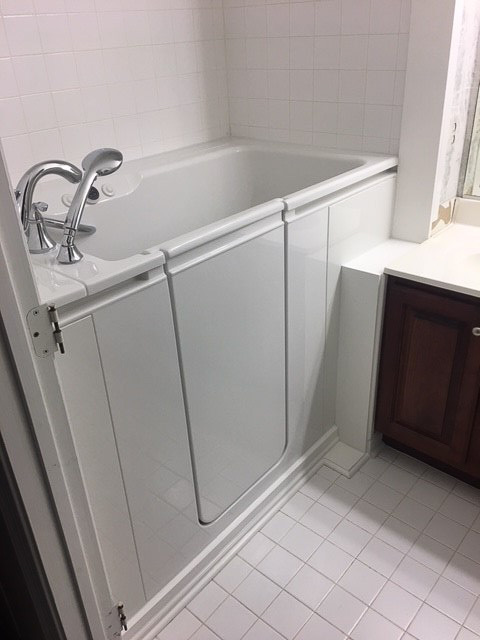 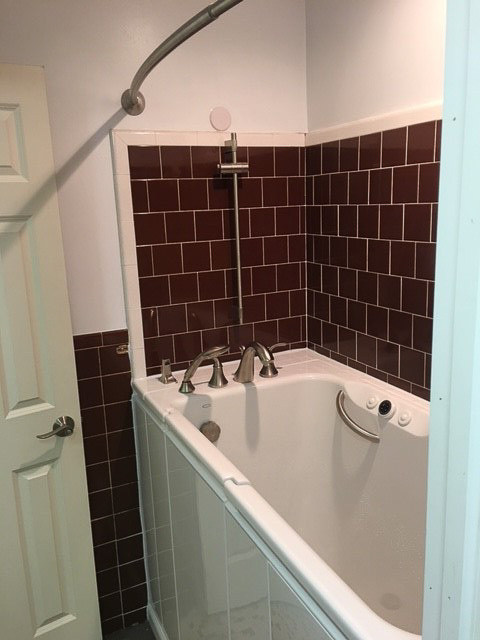 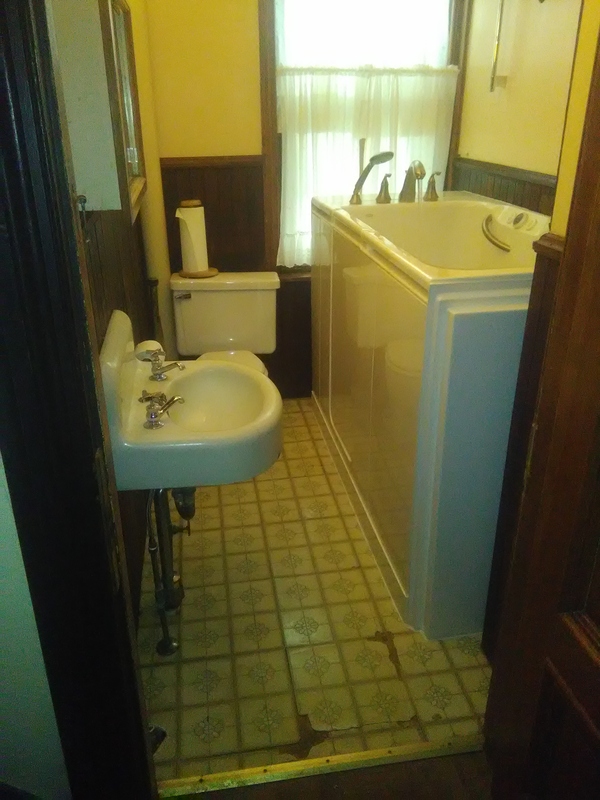 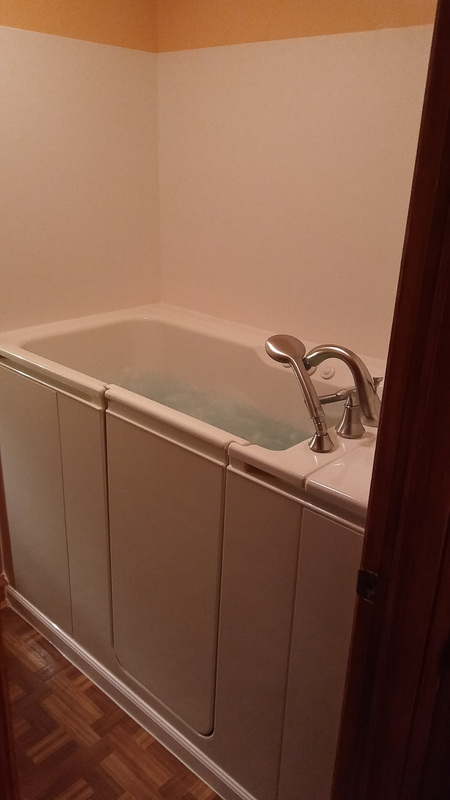 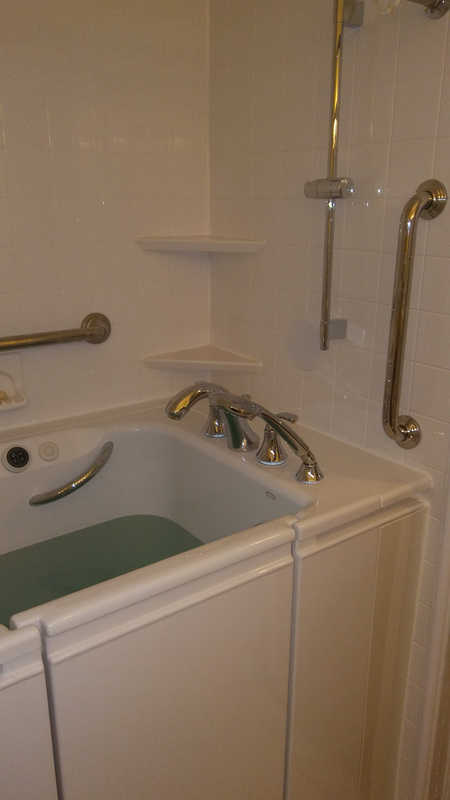 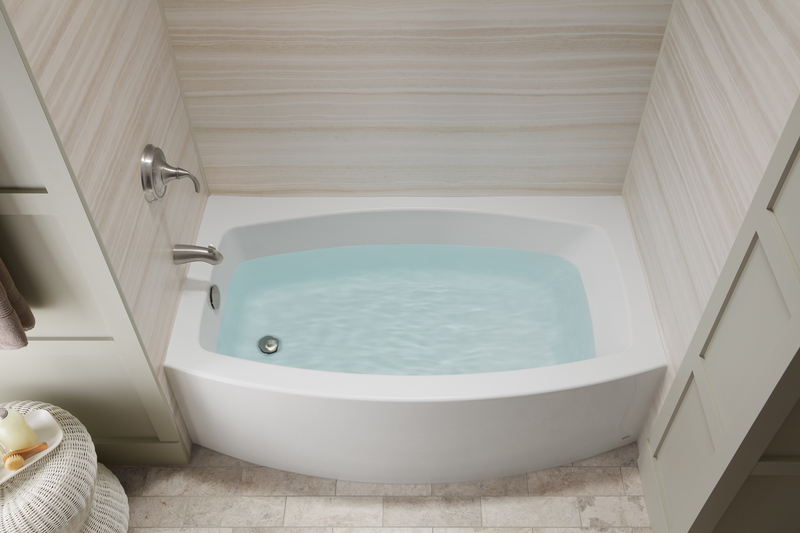 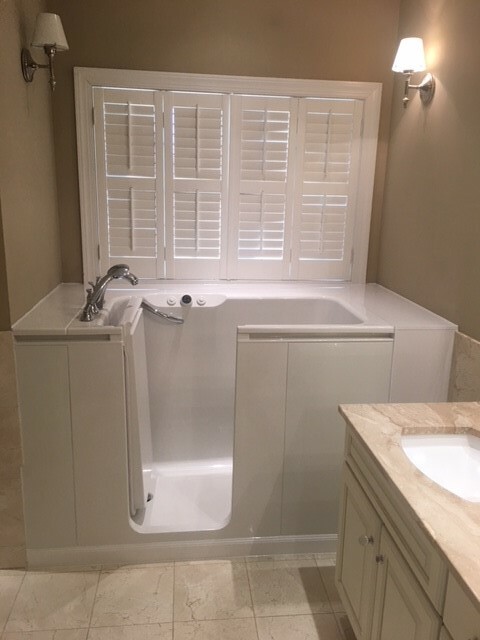 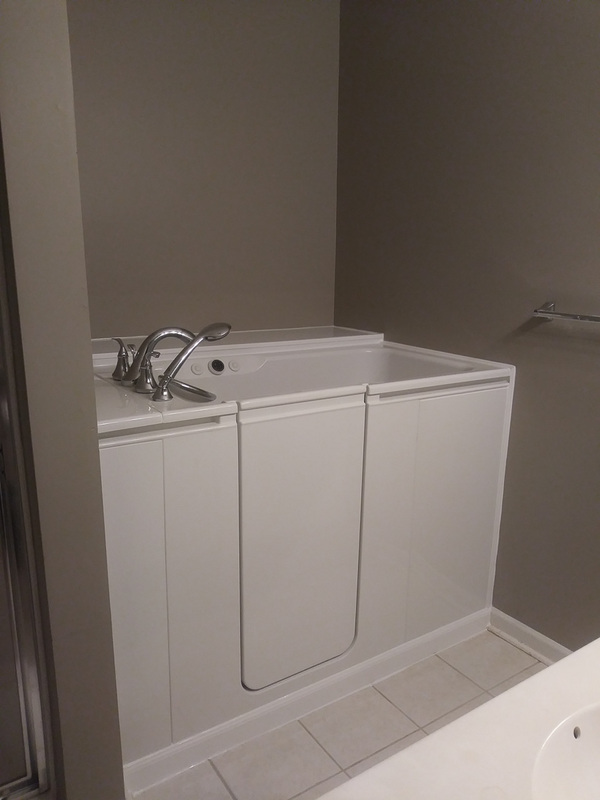 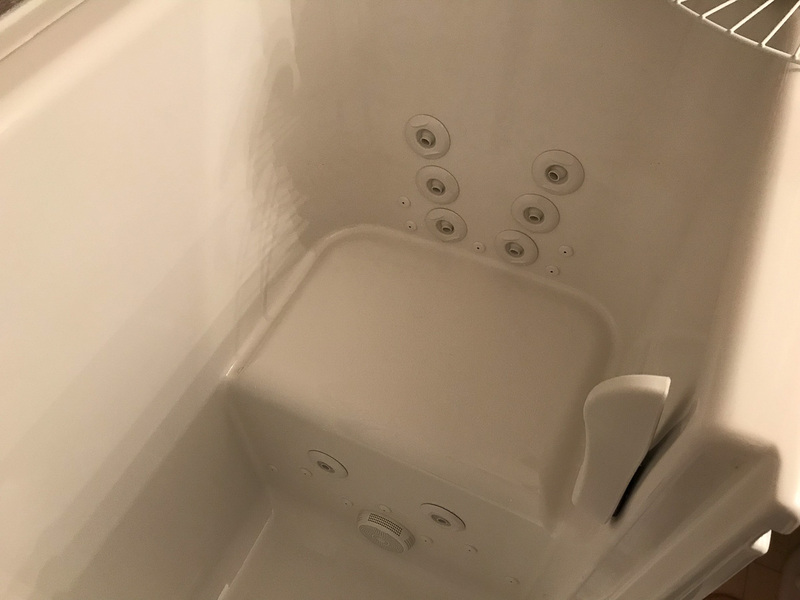 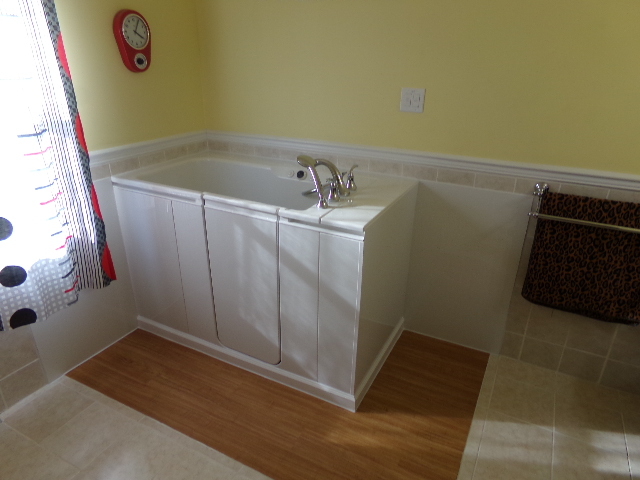 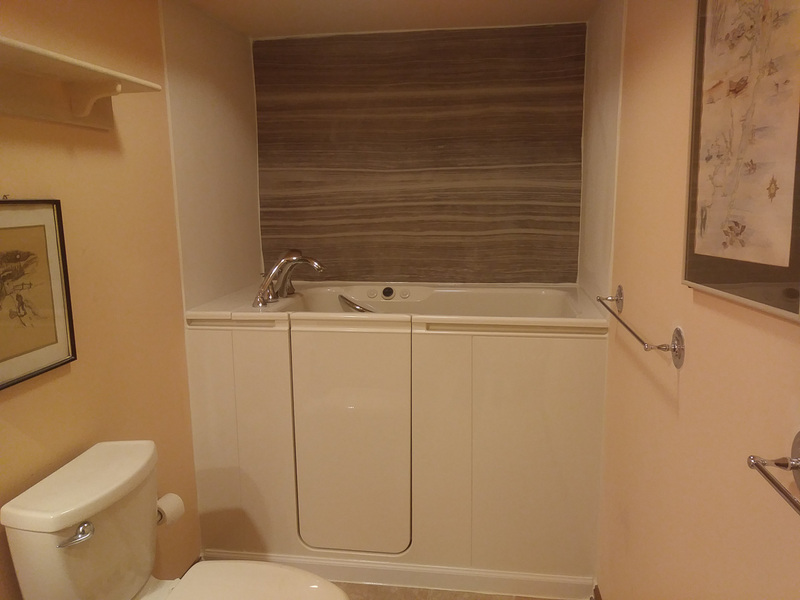 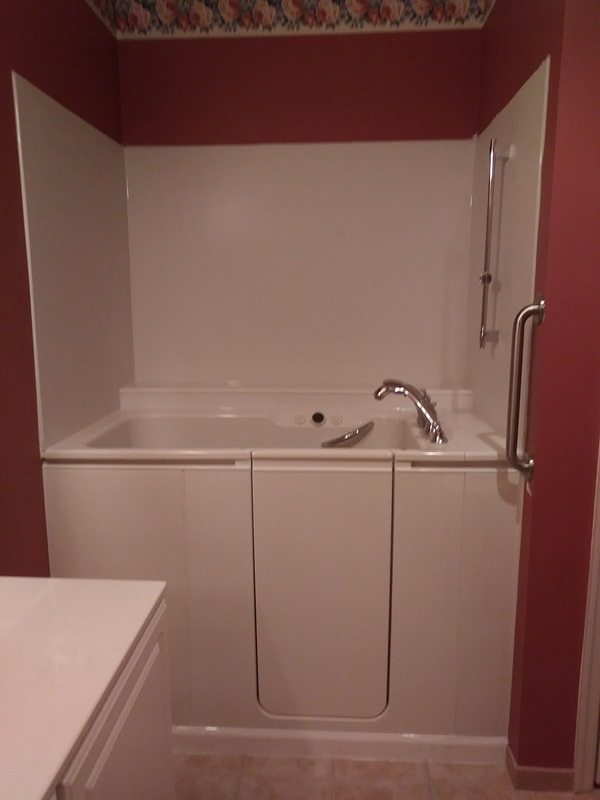 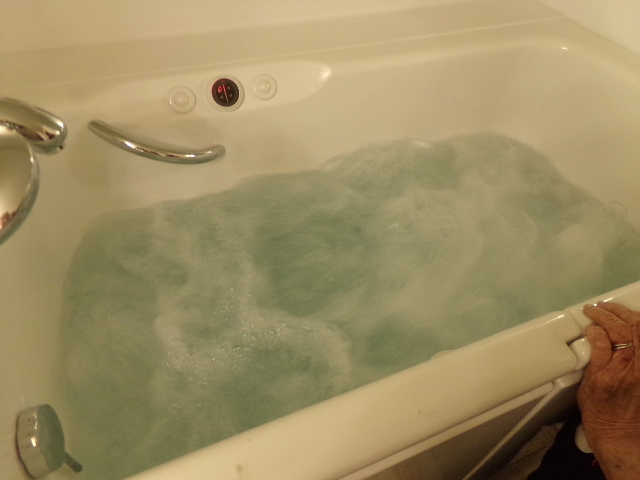 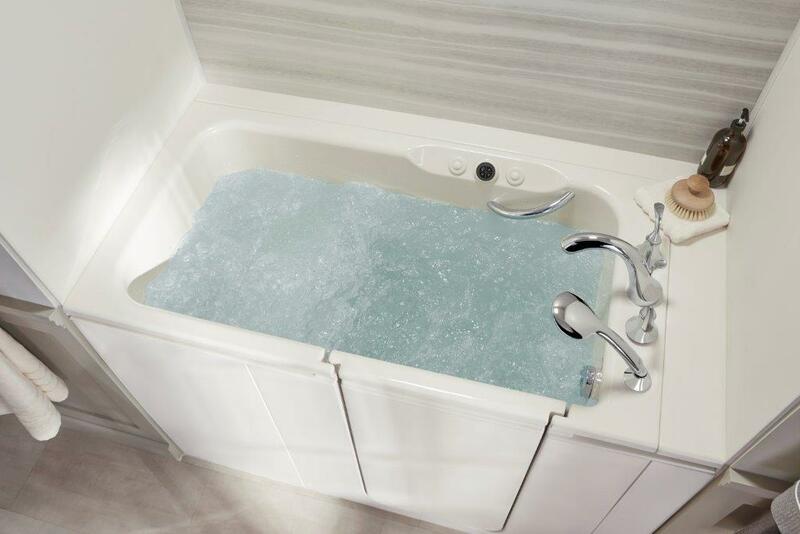 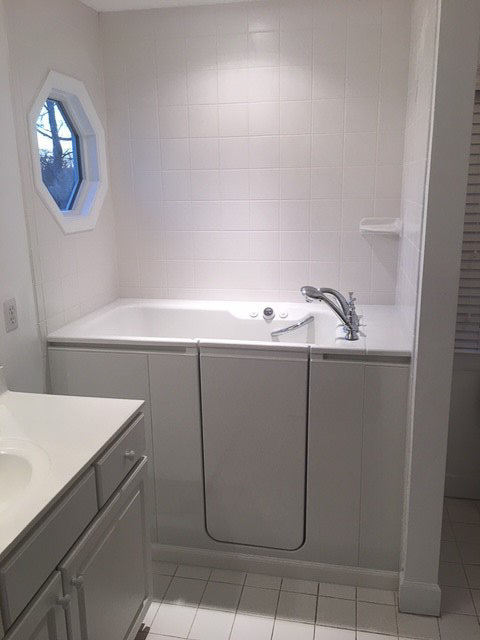 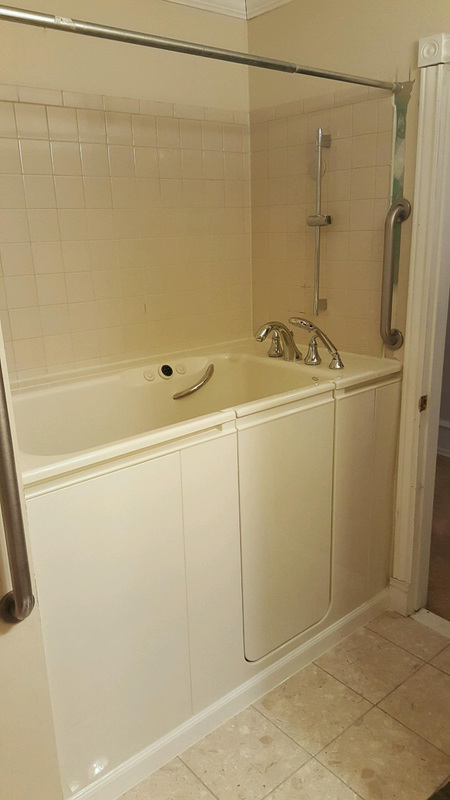 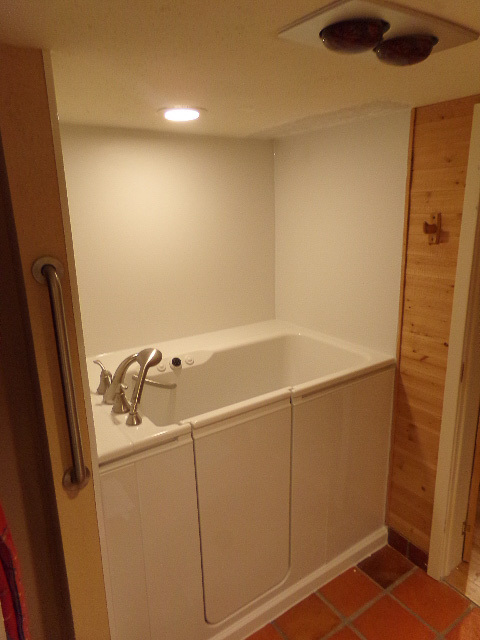 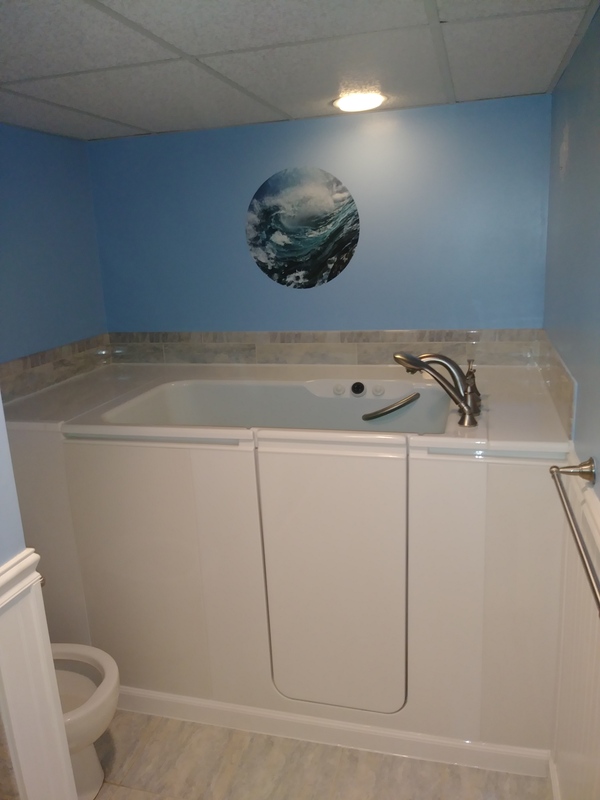 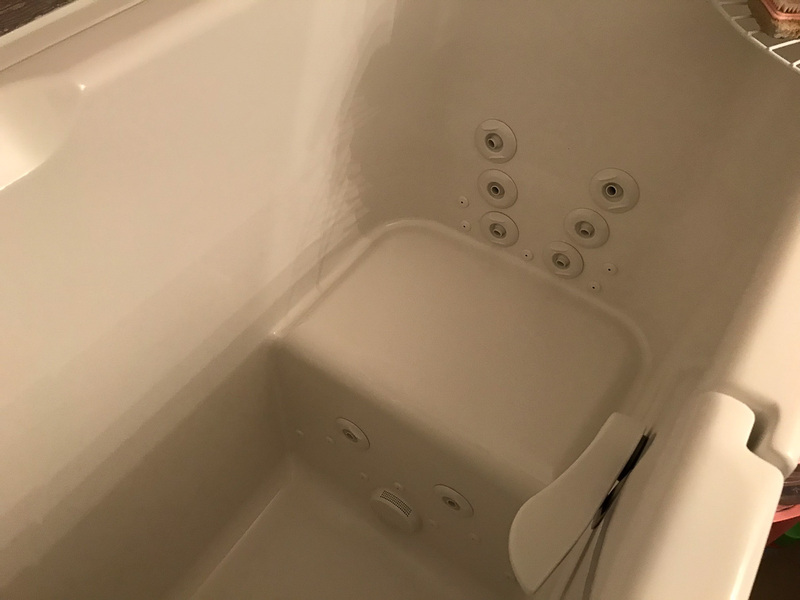 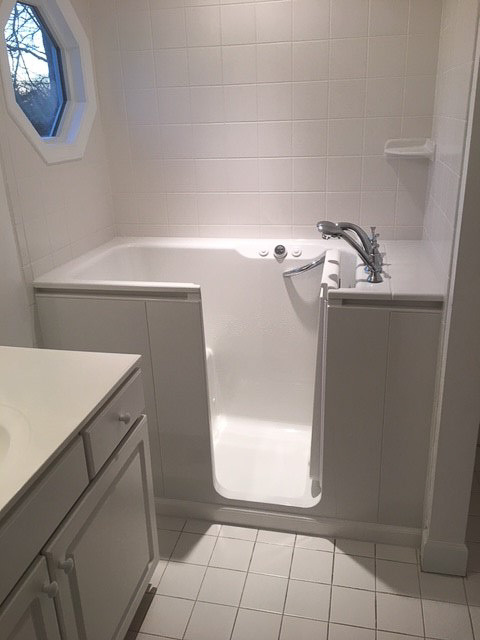 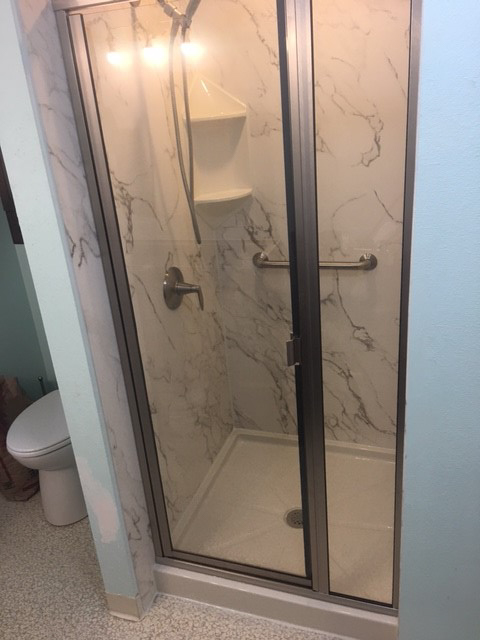 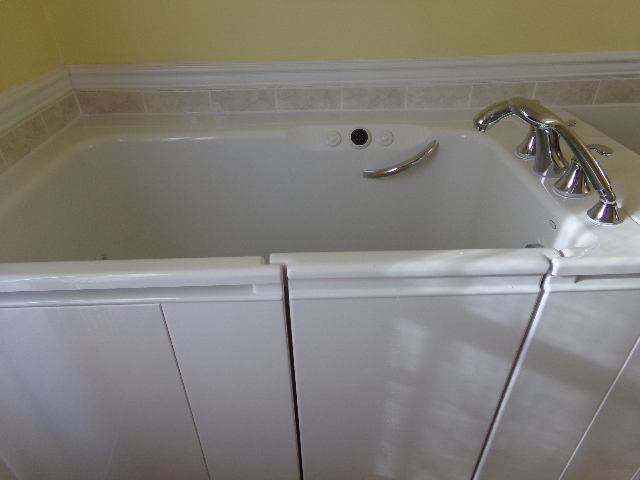 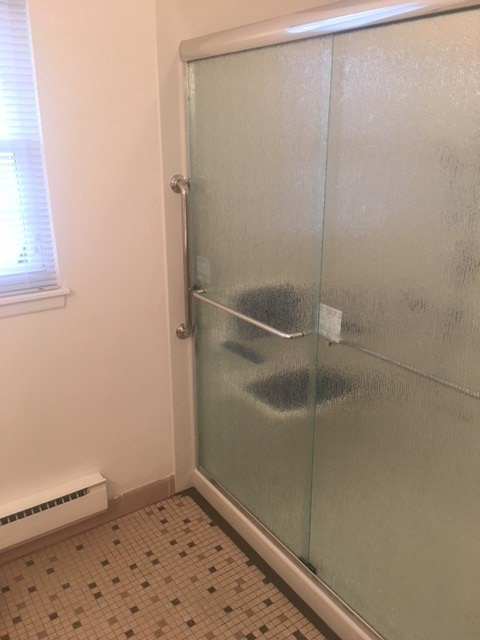 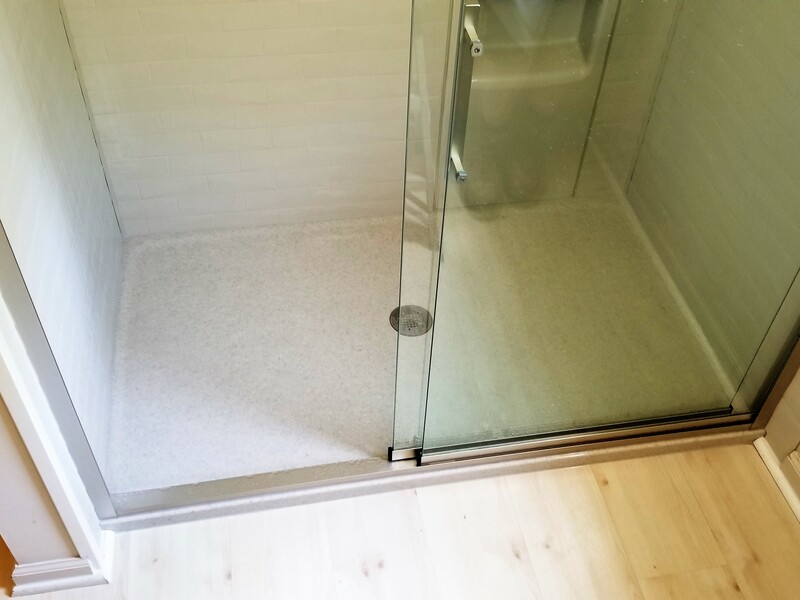 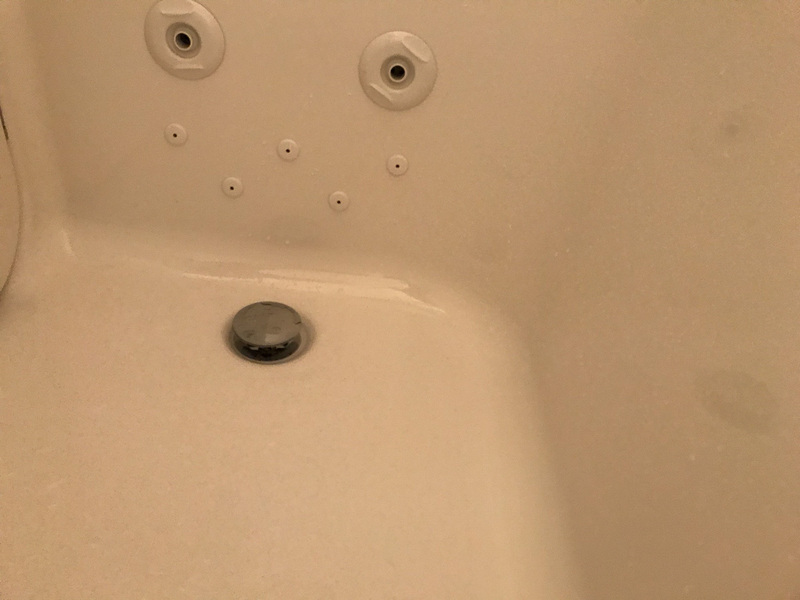 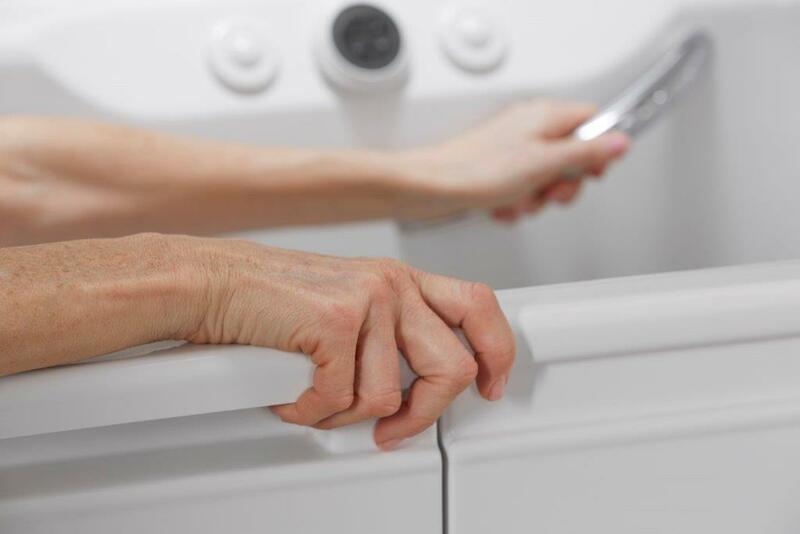 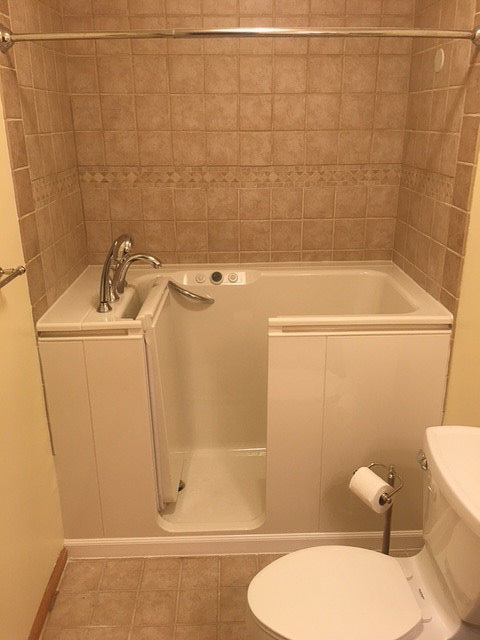 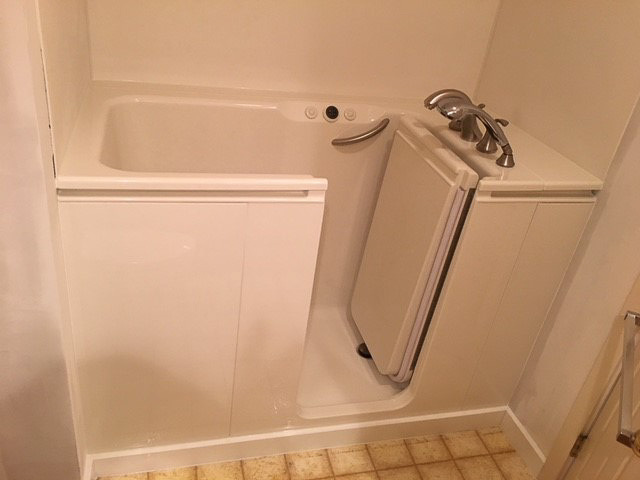 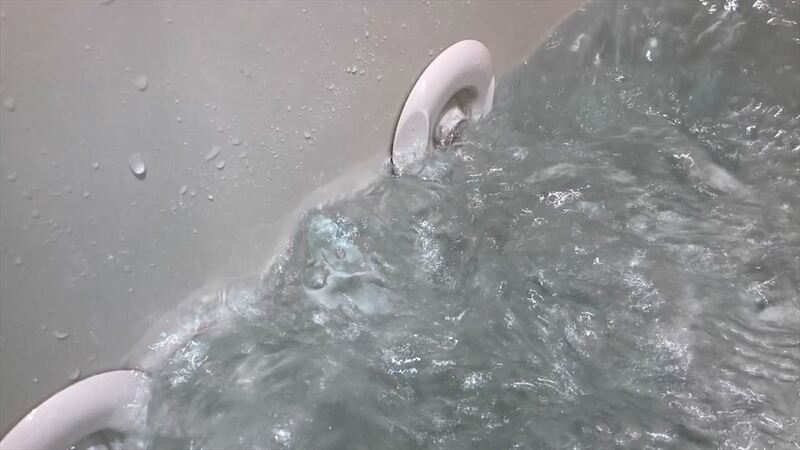 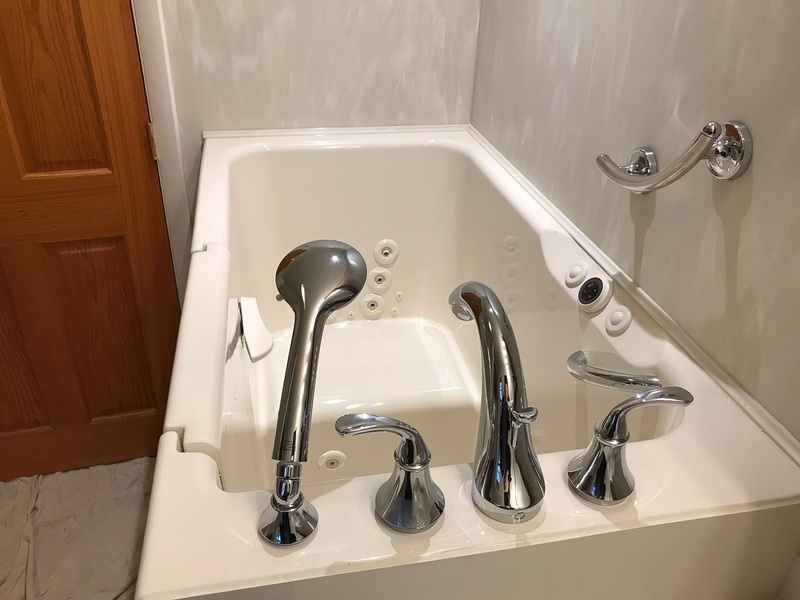 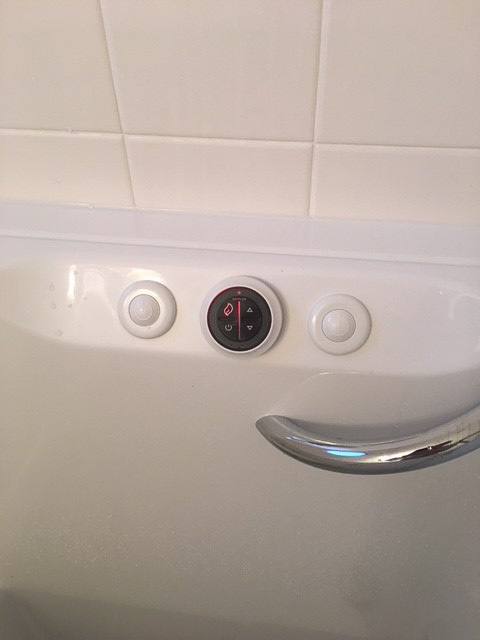 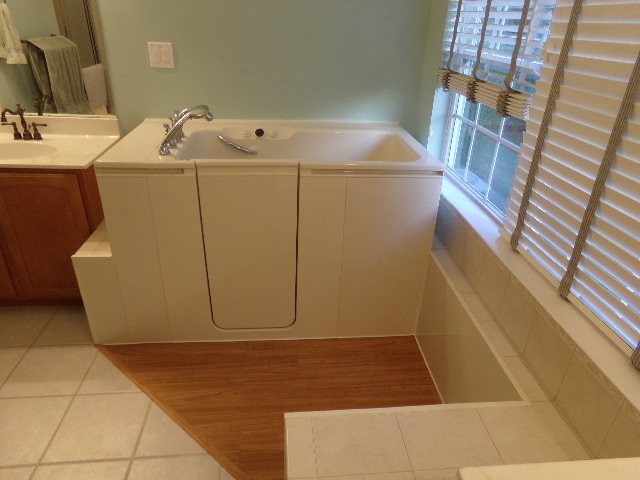 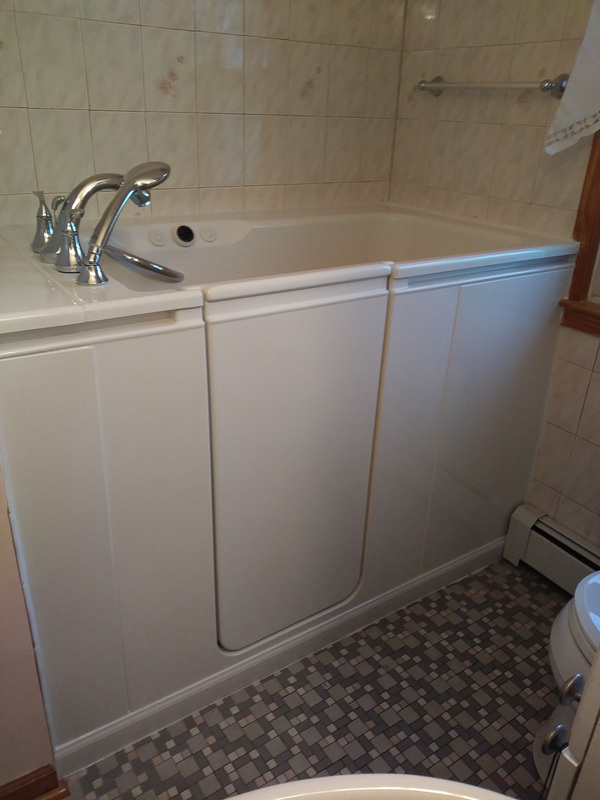 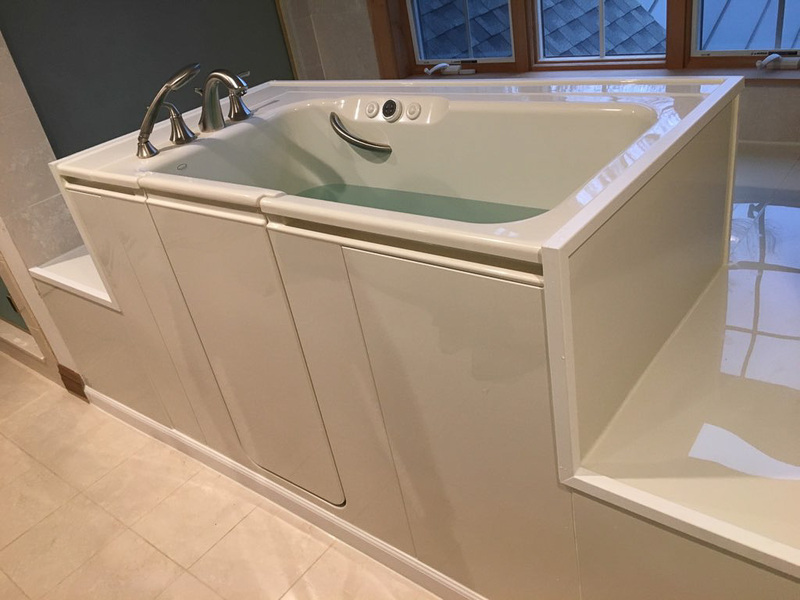 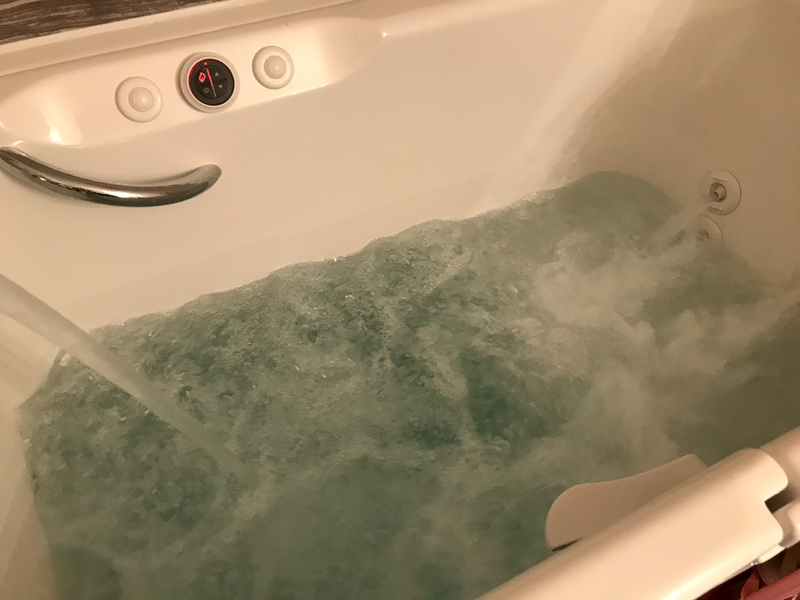 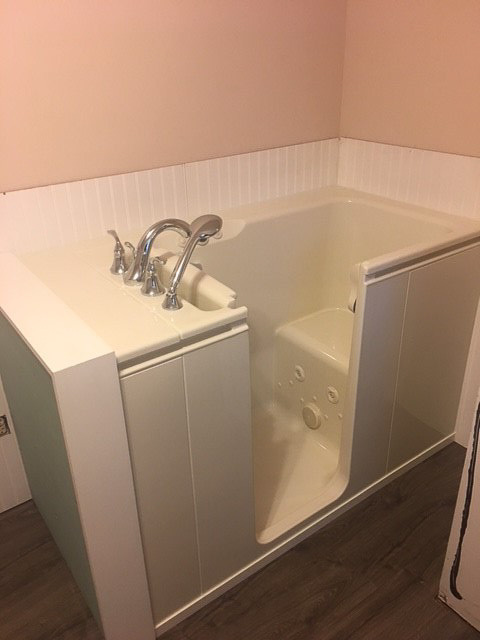 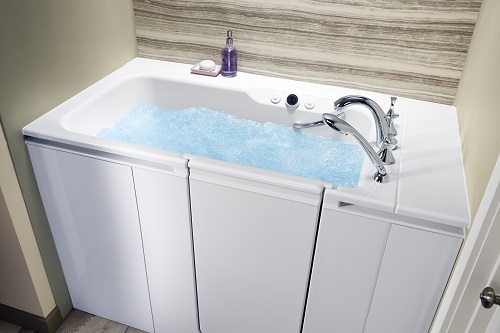 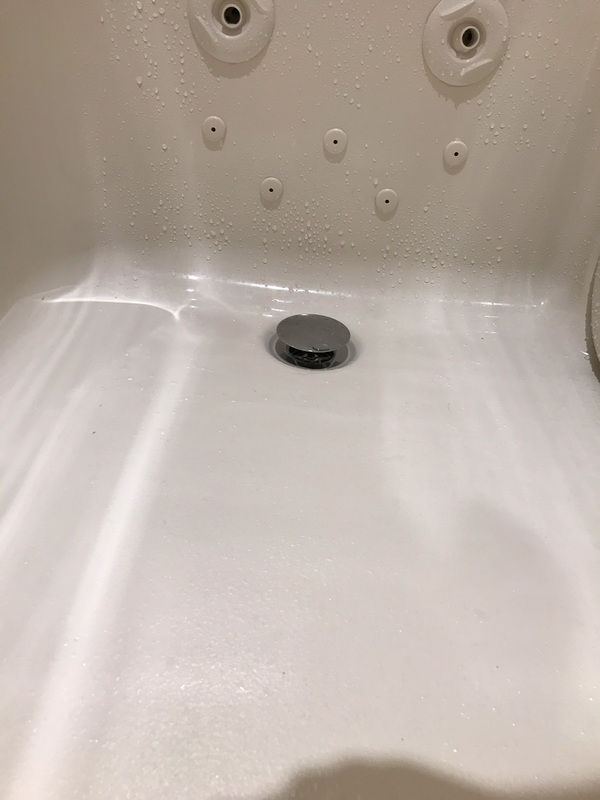 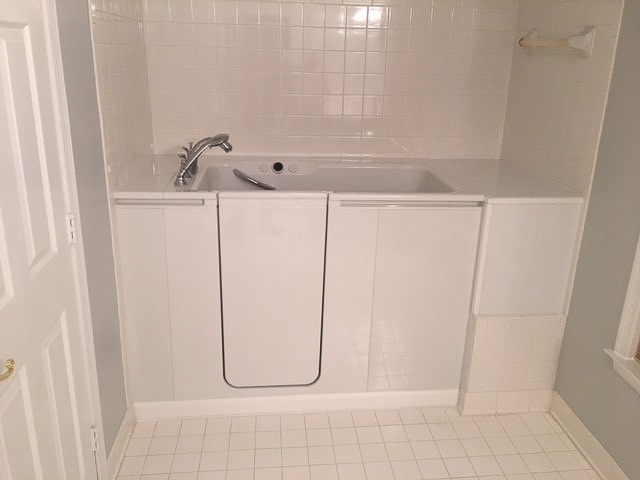 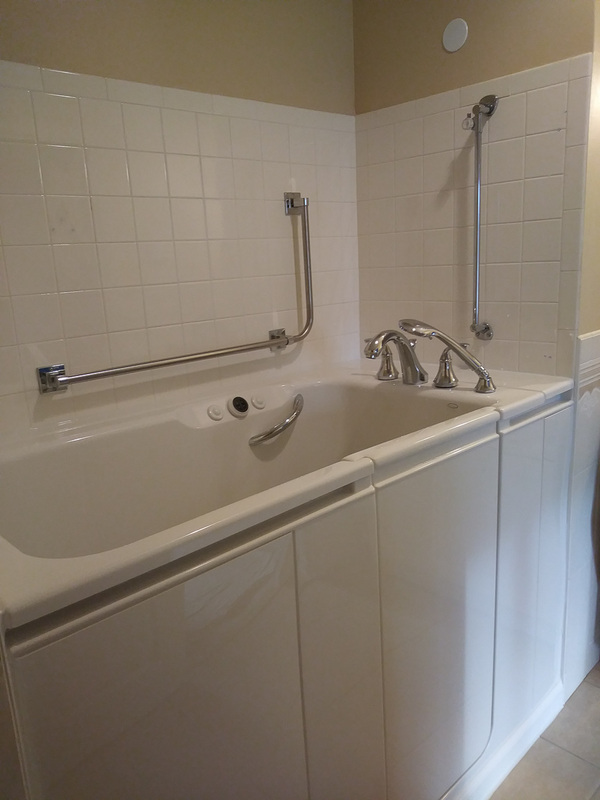 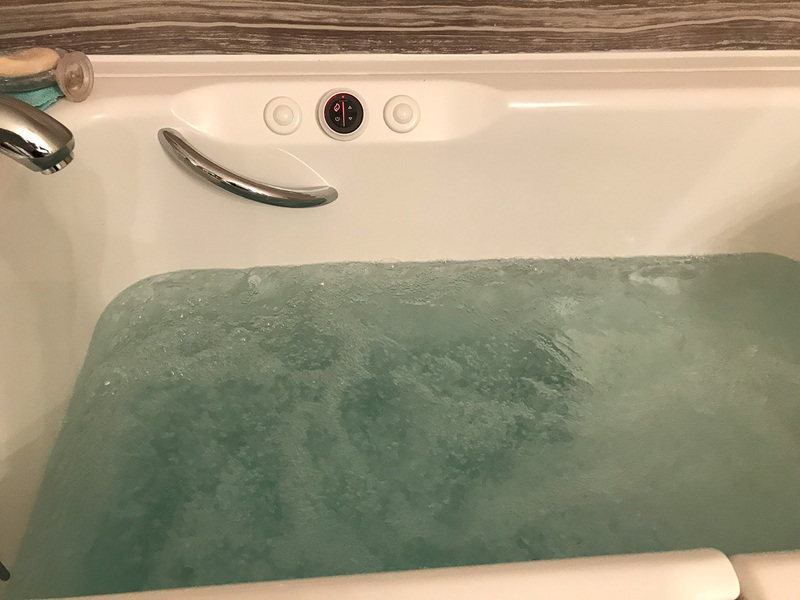 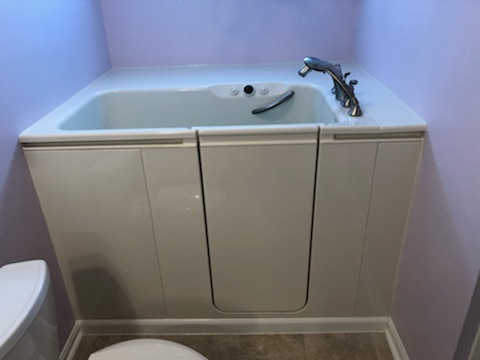 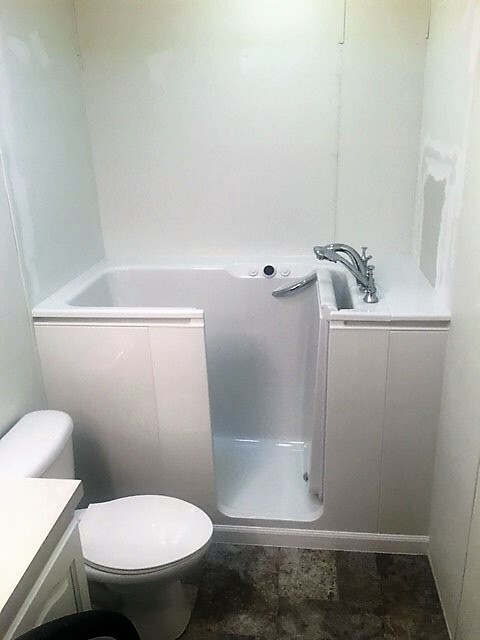 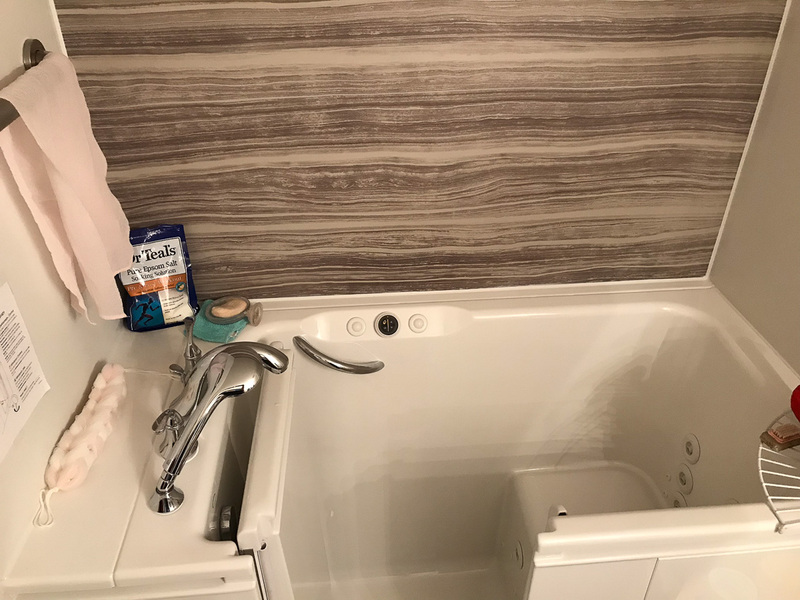 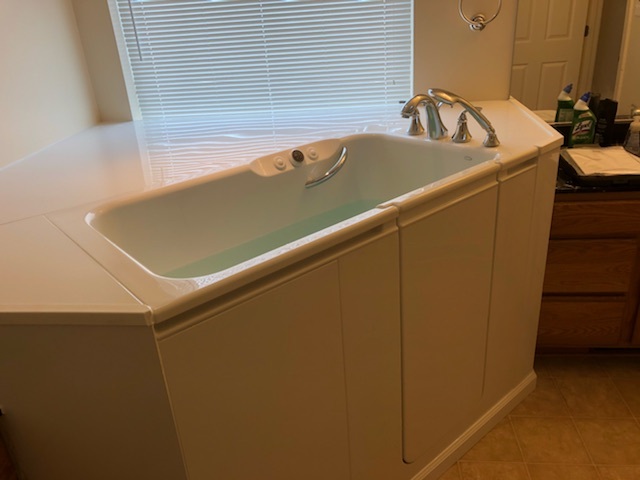 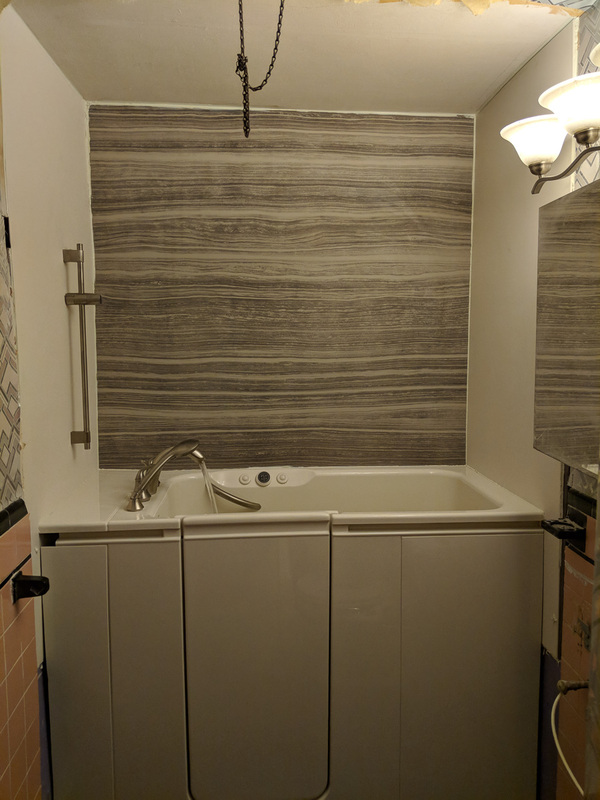 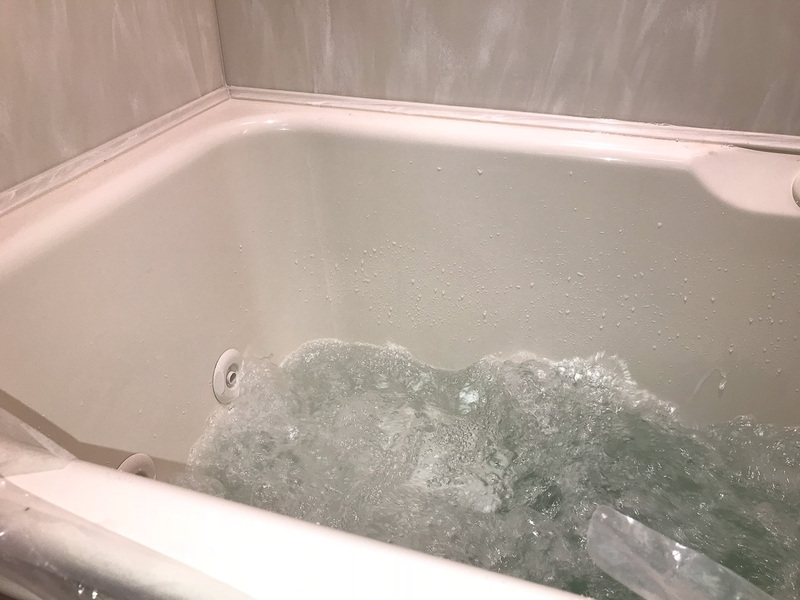 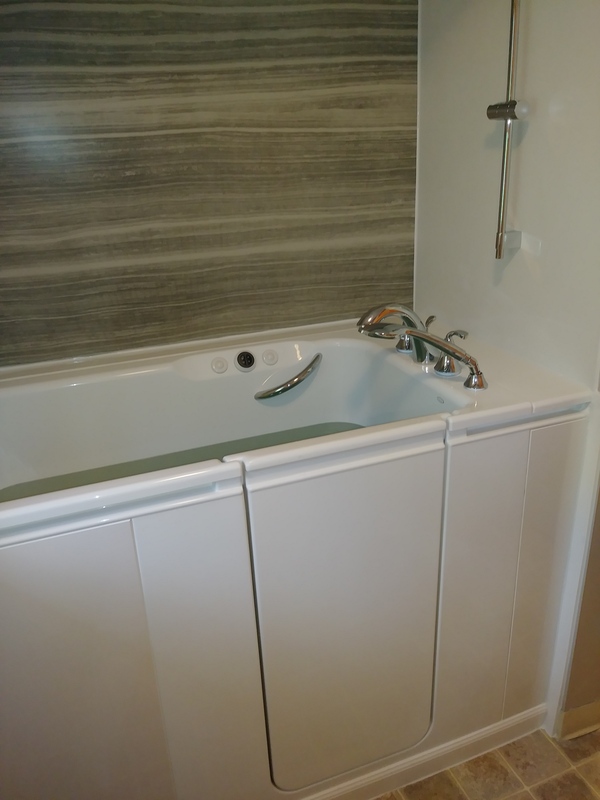 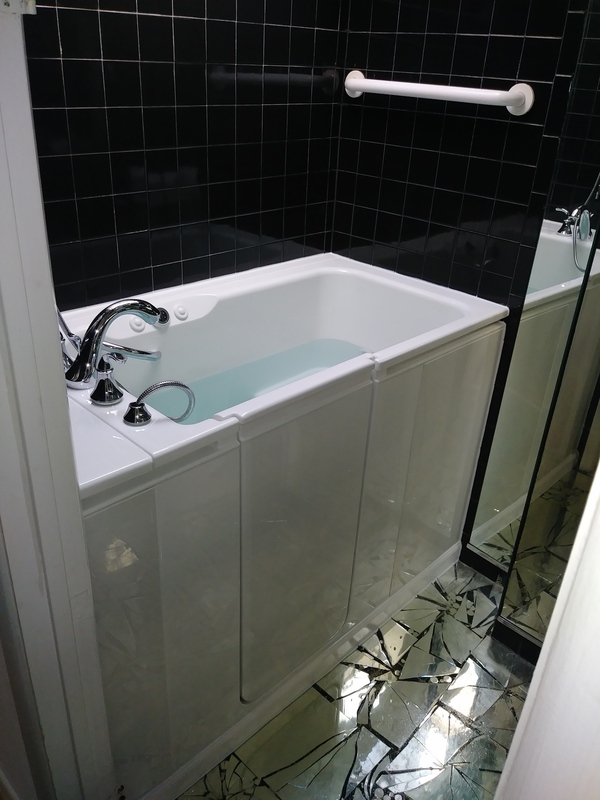 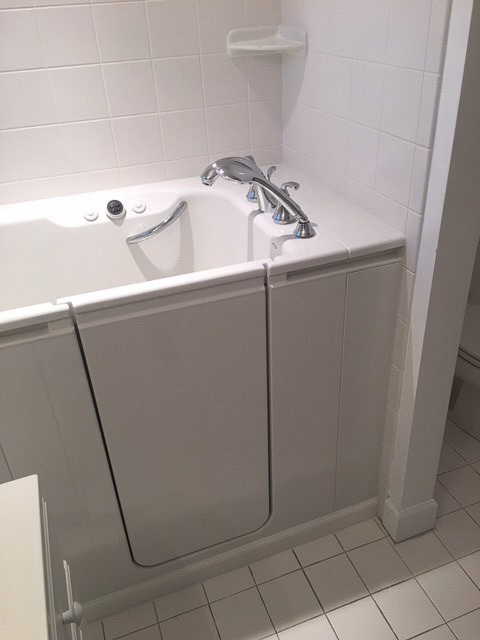 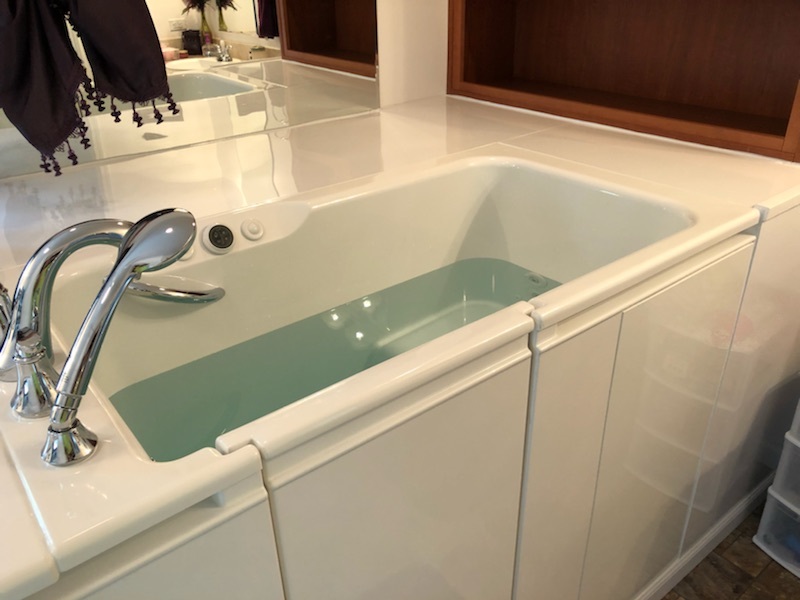 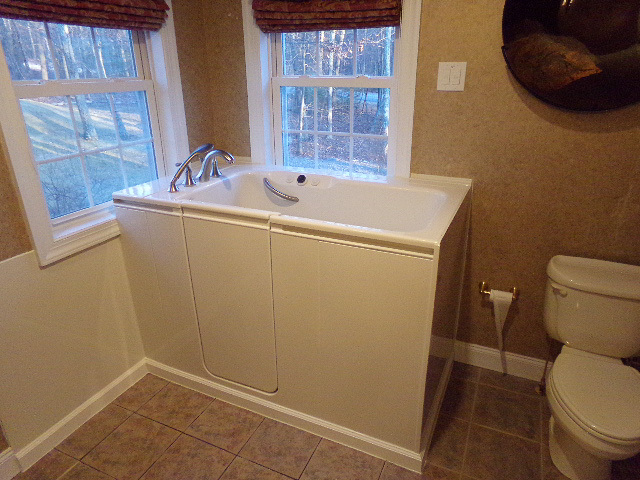 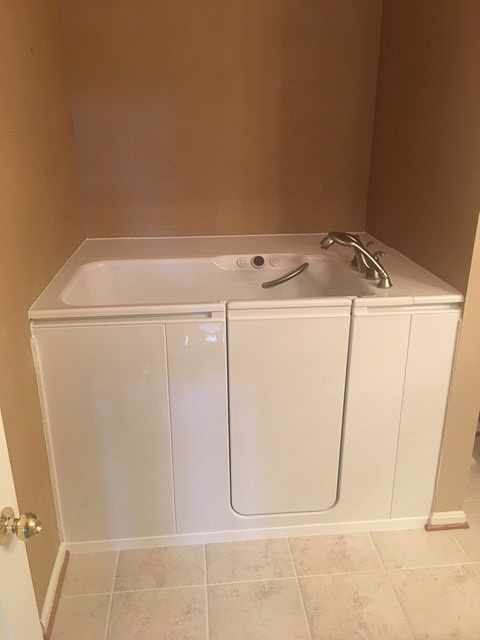 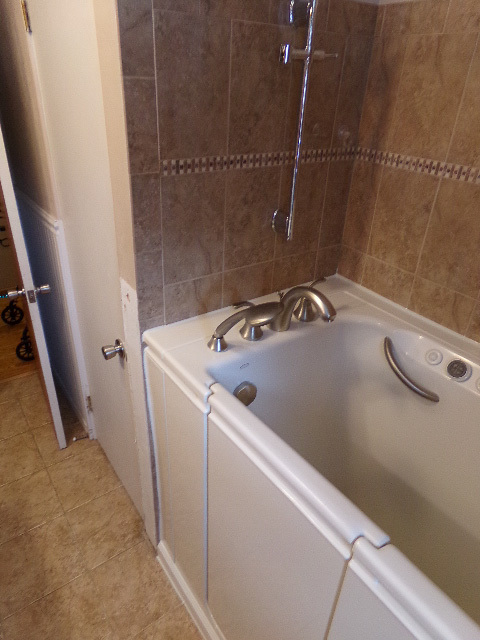 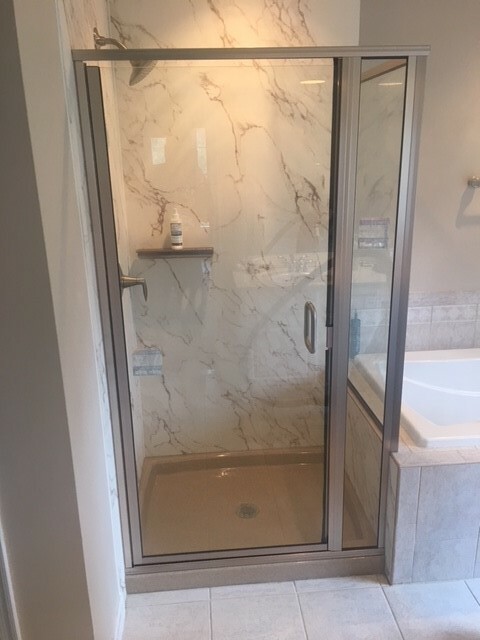 Home Smart has the professional experience of installing over 8,000 walk-in tubs and completing thousands of bathroom remodeling projects over the last 18 years with superior customer satisfaction scores. 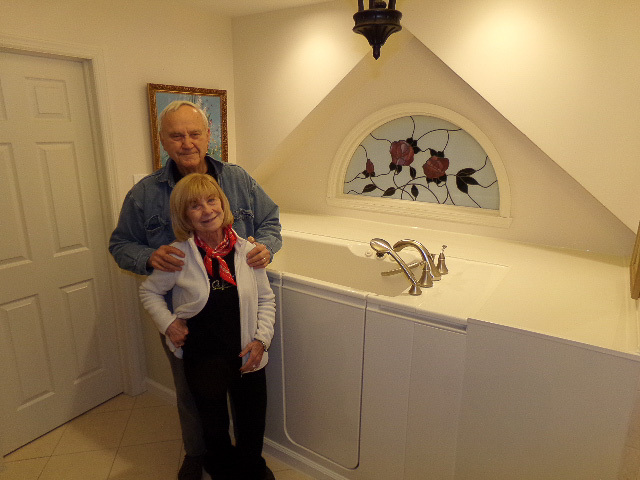 Home Smart was also selected by Remodeling Magazine to be awarded their “Big 50” national award. 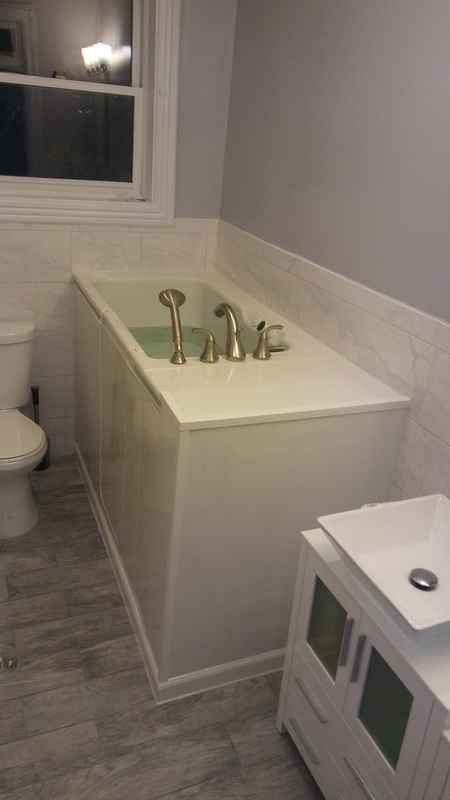 This national recognition is only awarded to the top 50 contractors in the entire country based on customer satisfaction scores as well as dedication to their profession. 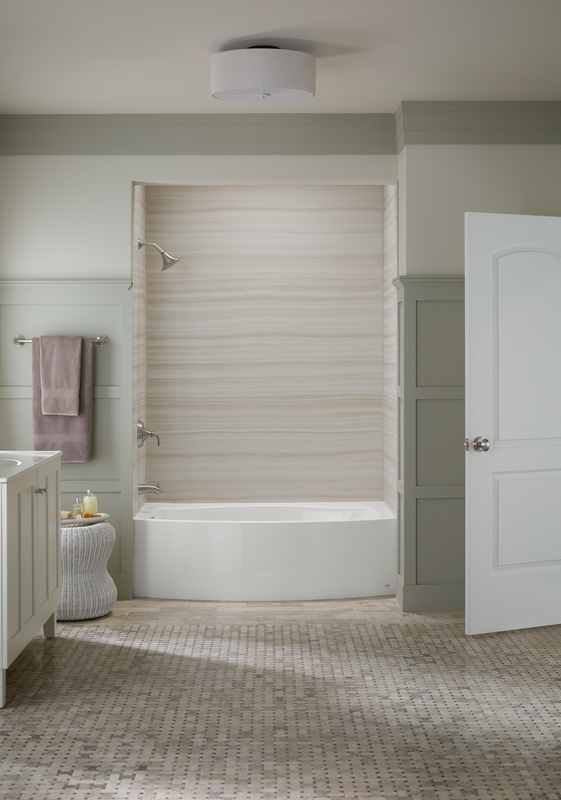 Our reputation in the industry enticed Kohler to approach us to help create this new level of customer service. 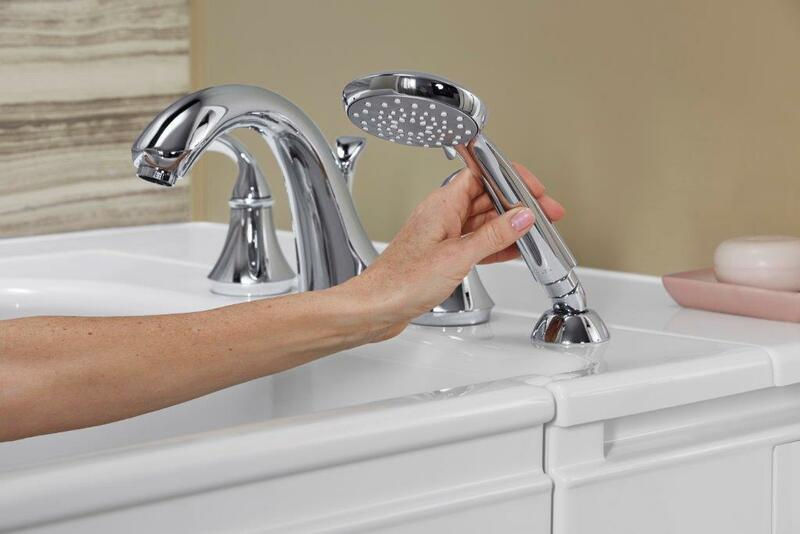 These Dealers pledged to dedicate both sales and installation staff to be trained and certified by Kohler in all areas related to Kohler’s products. 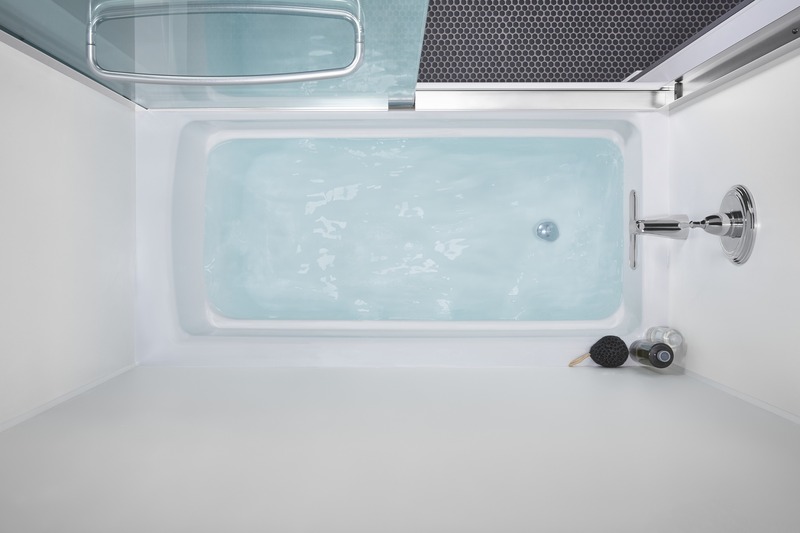 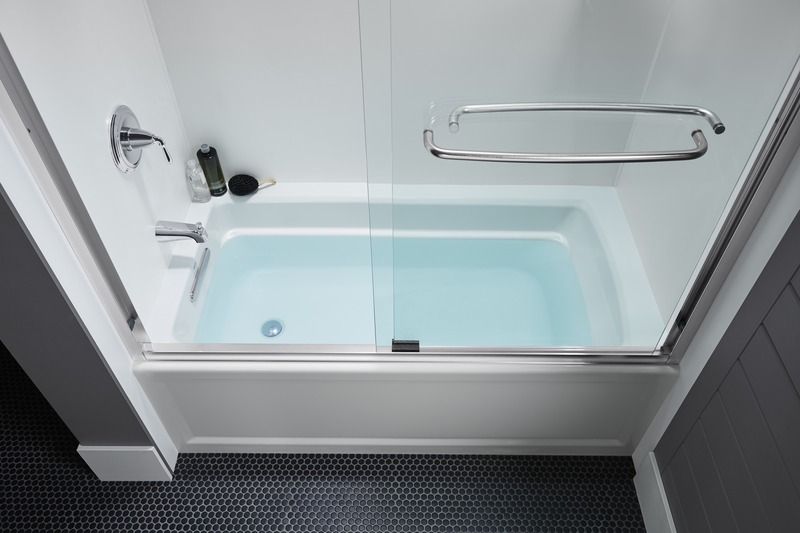 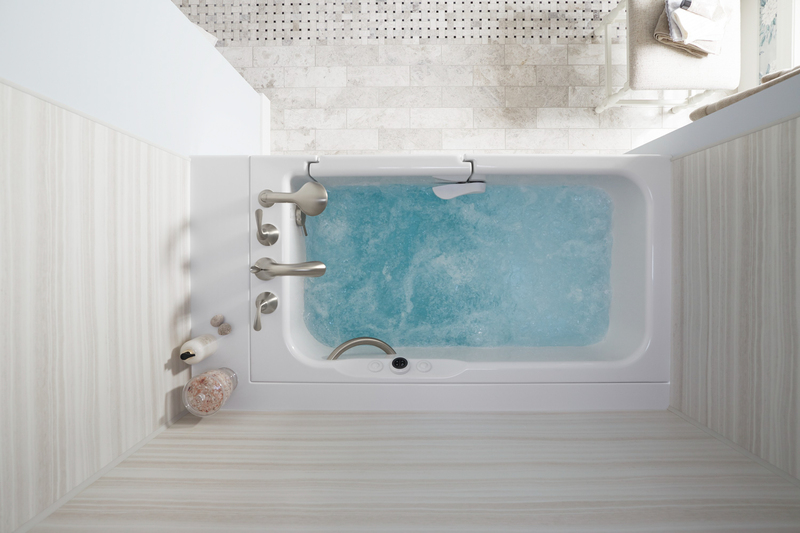 Kohler recognized the need for better accessibility and mobility options in walk in baths and knew they needed to have the best Walk-In Bath Tub in the industry. 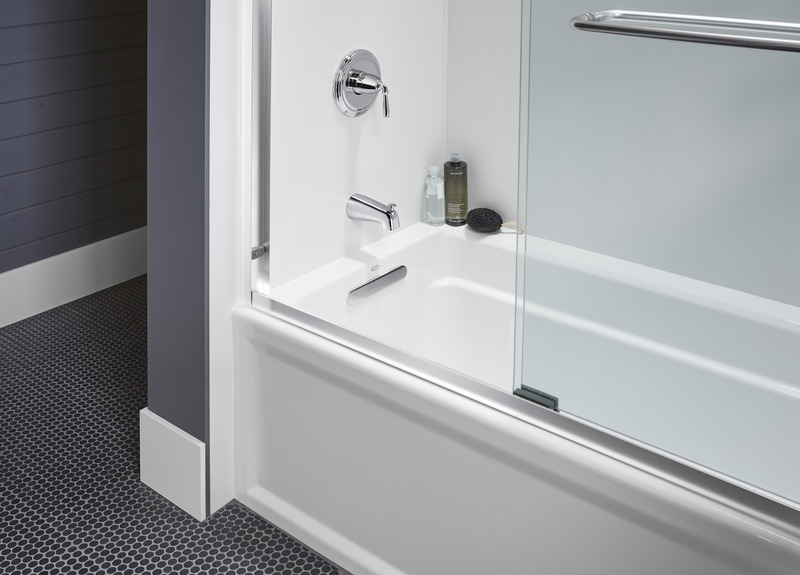 The Kohler Company spent years in the product development stages analyzing all the walk-in baths available on the market to the consumer today. 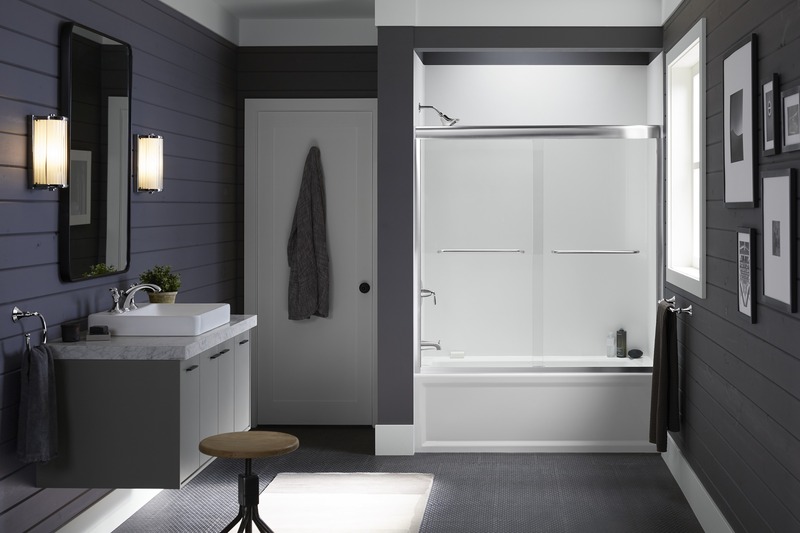 To lead the industry, engineers at Kohler’s “Human Factors Lab” looked at all the features and benefits that would achieve the optimal user experience. 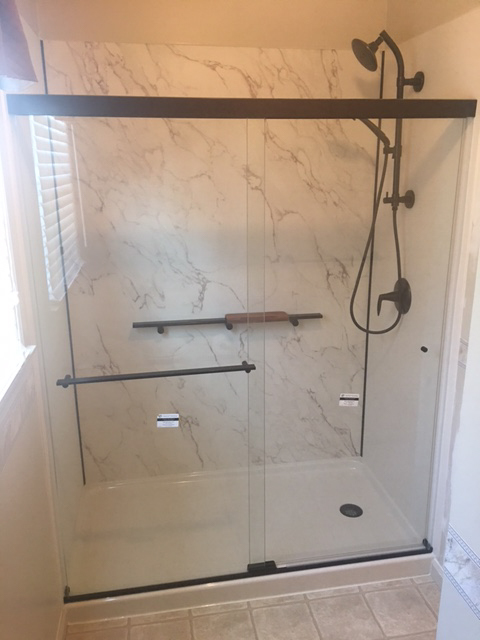 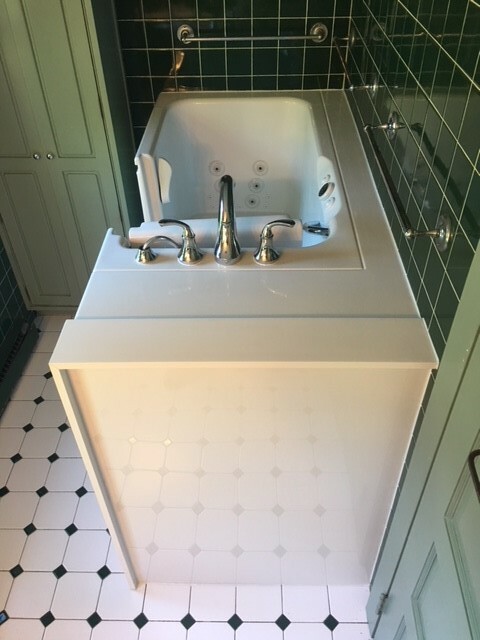 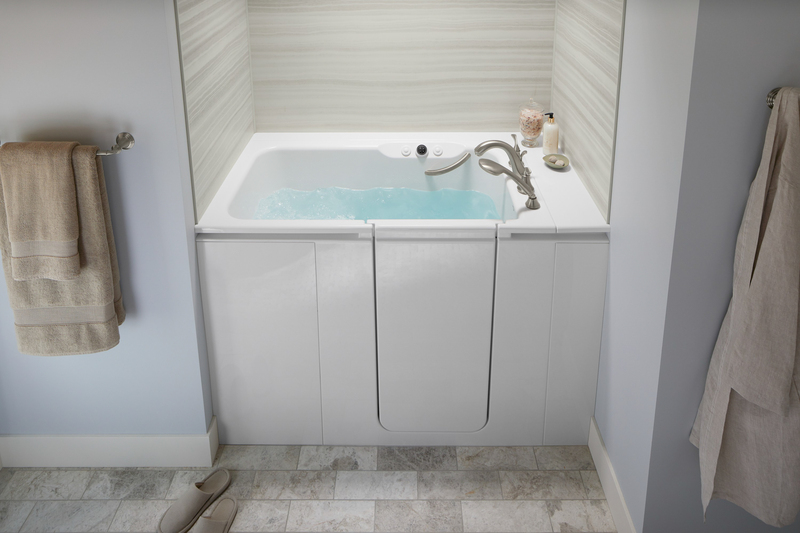 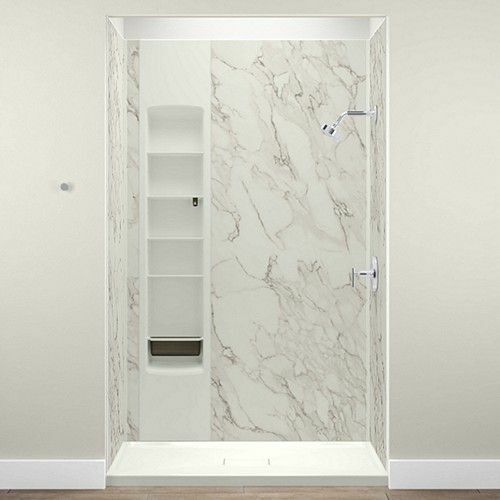 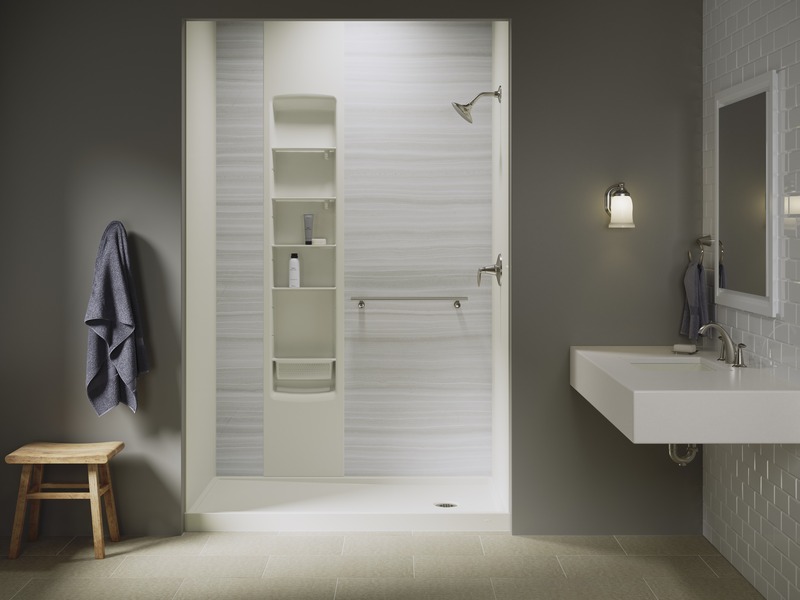 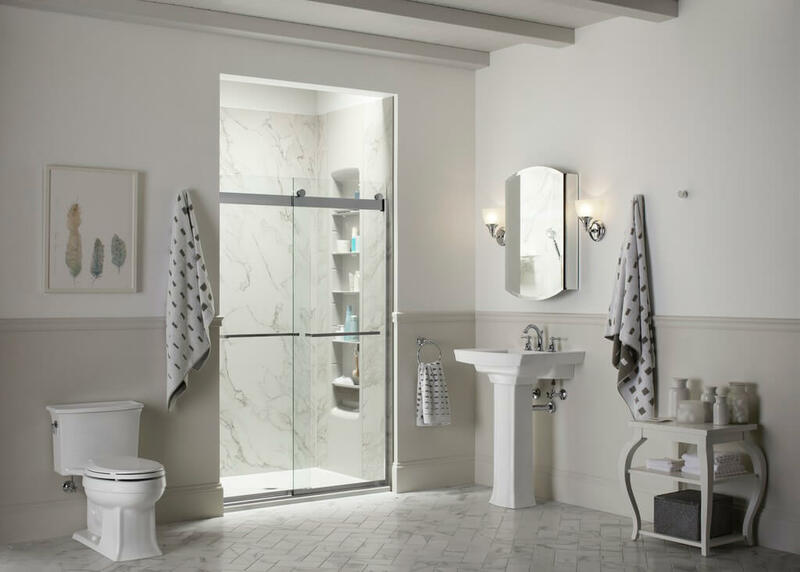 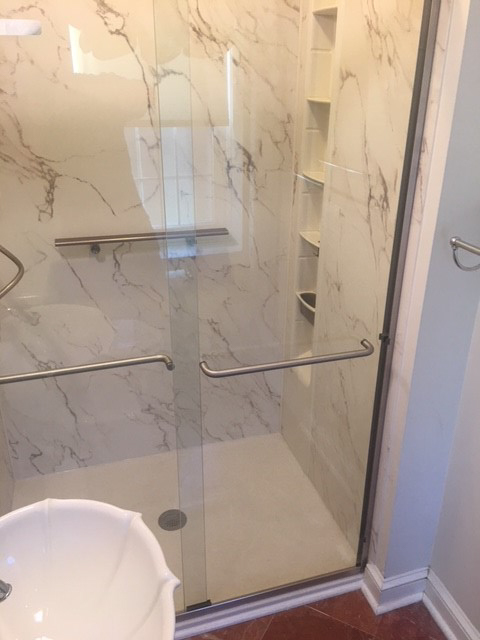 Today the Kohler Belay Walk-In Bath is a representation of only the best features available to consumers today with none of the deceptive or misleading features that other manufacturers lead you to think are relevant. 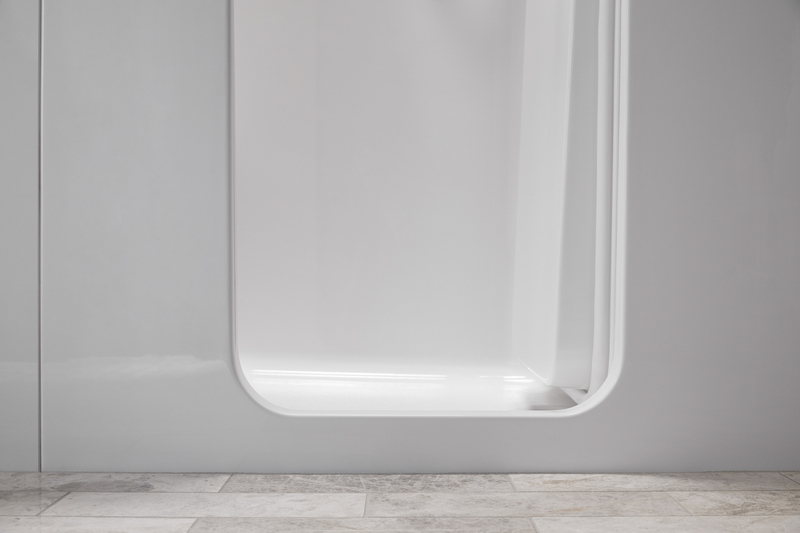 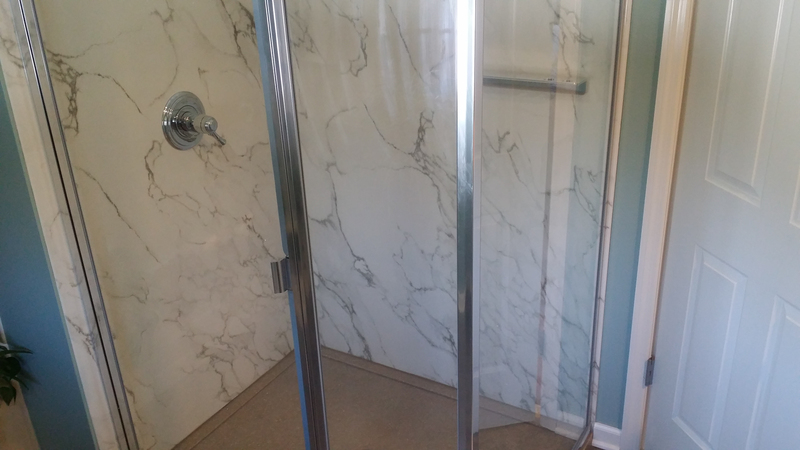 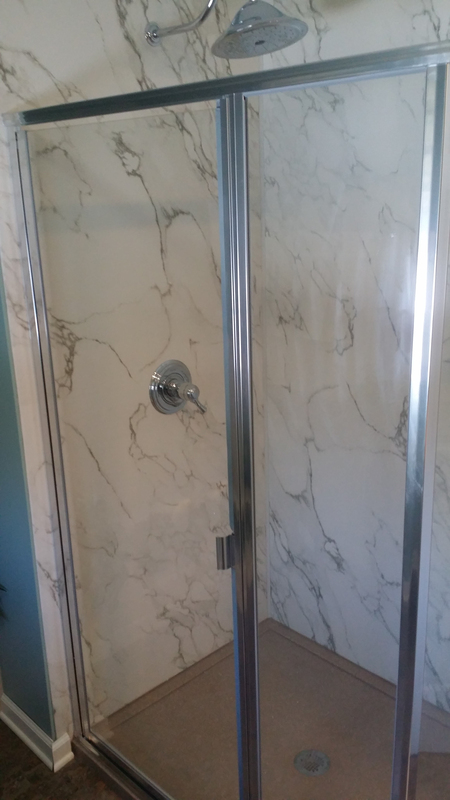 What is the LuxStone shower system and what makes it different? 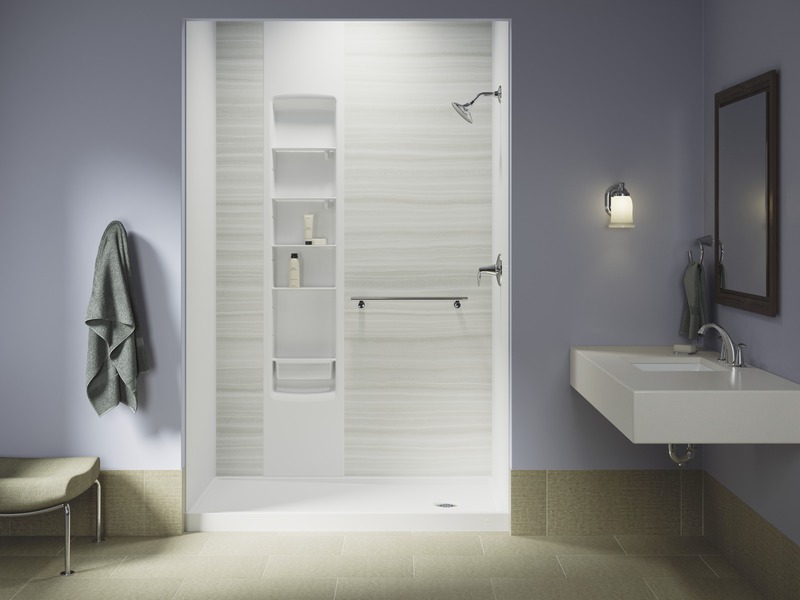 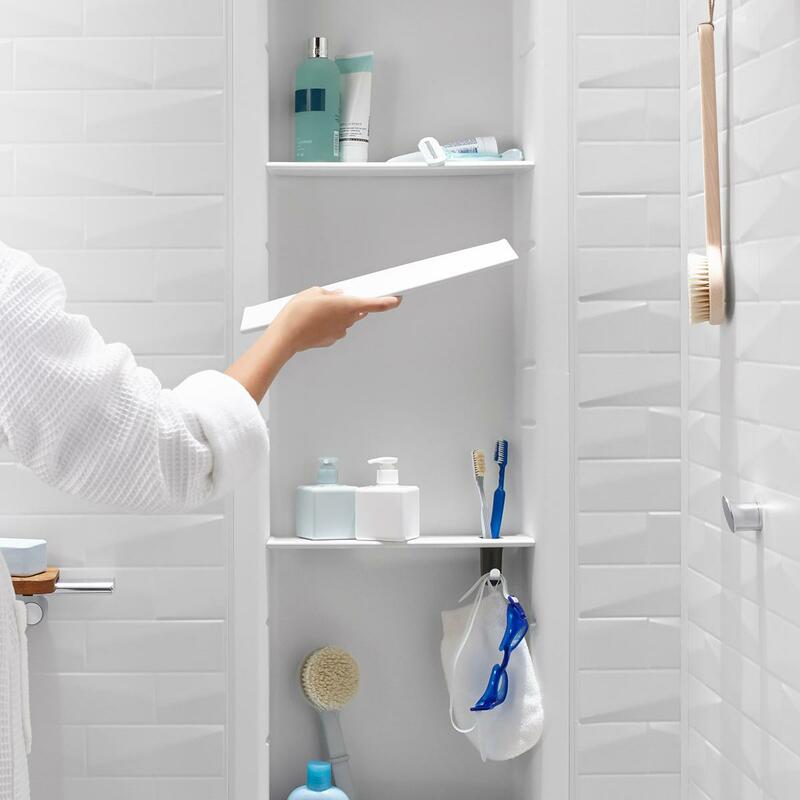 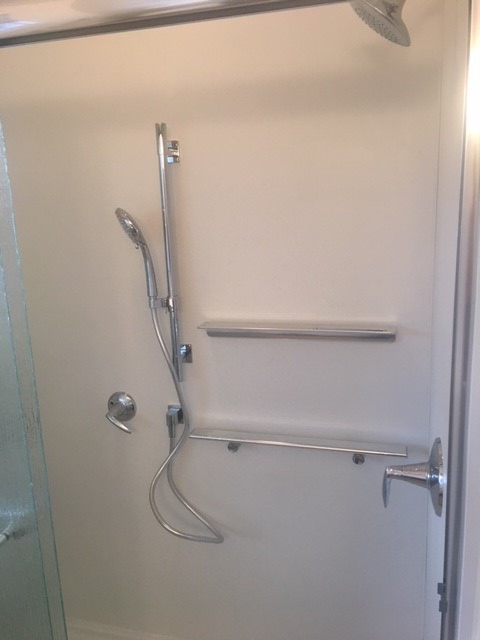 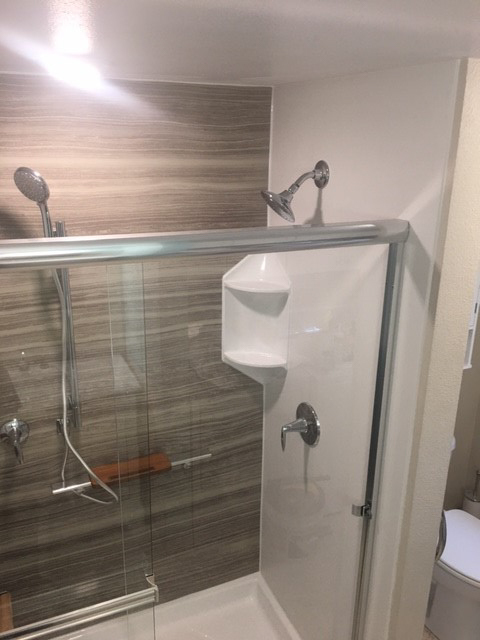 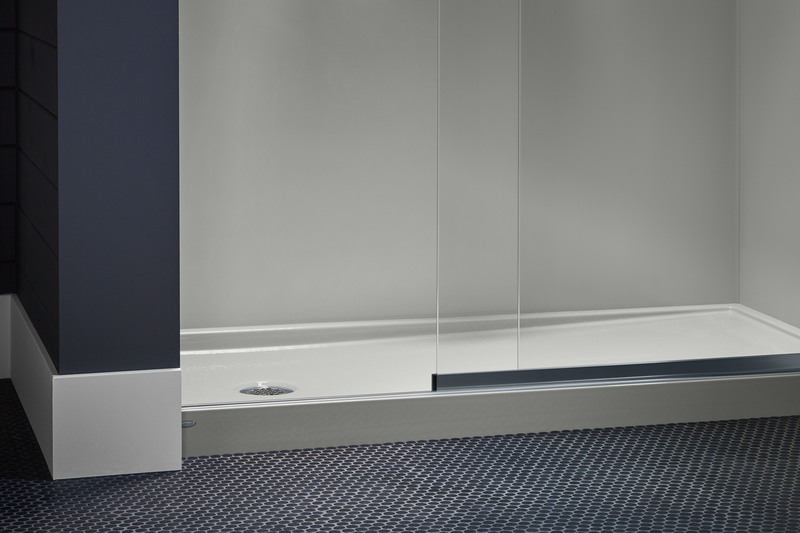 Kohler was getting great demand from its customers for a better alternative to the acrylic or plastic walls systems available today. 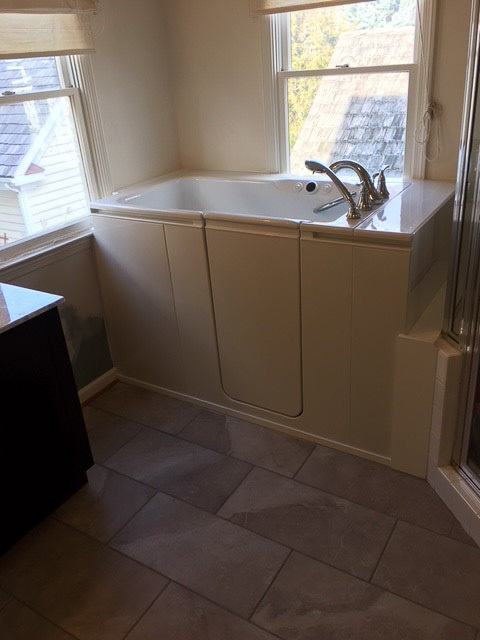 Kohler’s customers wanted a richer, more natural looking wall system that enhanced home values and were maintenance free. 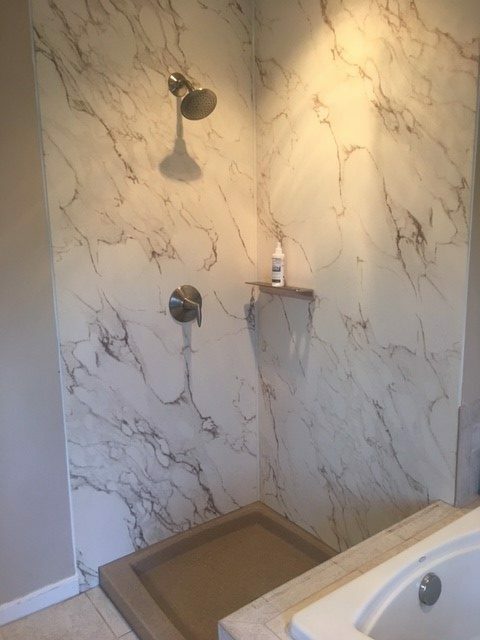 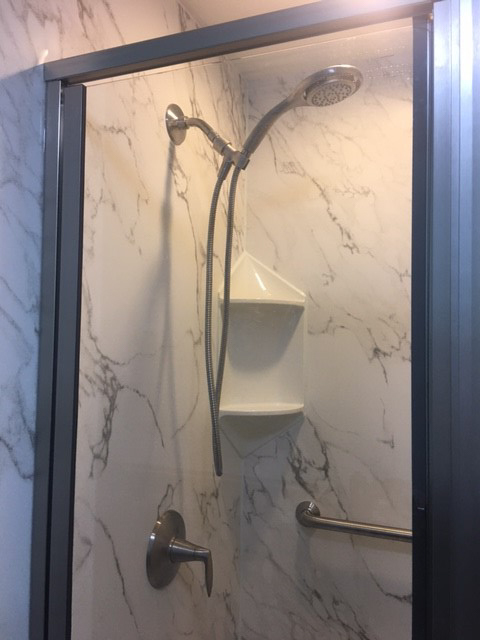 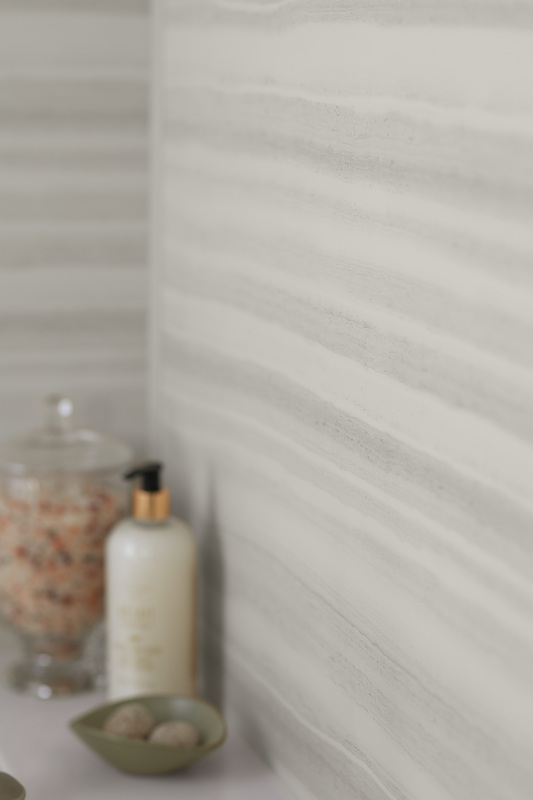 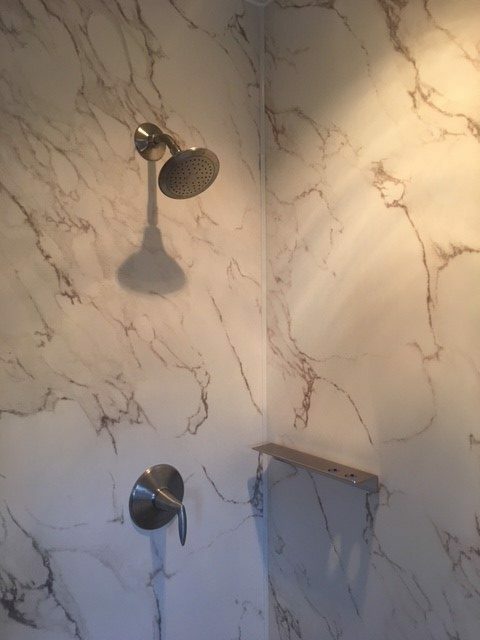 Kohler’s engineers have designed a wall product made from 70% crushed Alabama marble that meets and exceeds all of those requests and is warranted for life to meet these demands.. 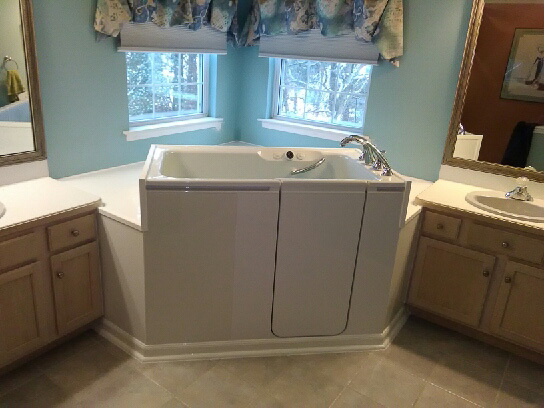 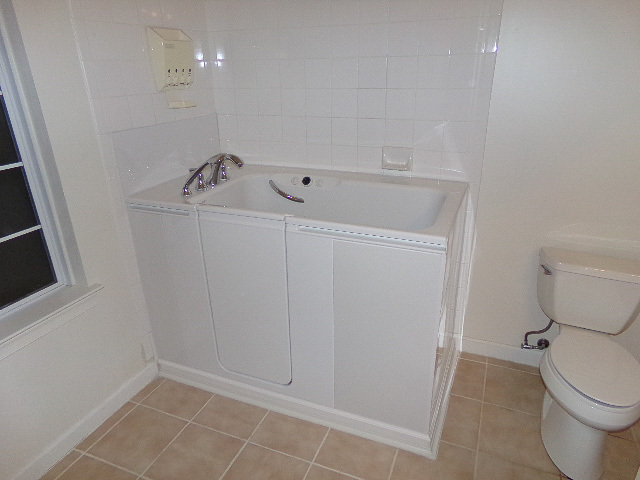 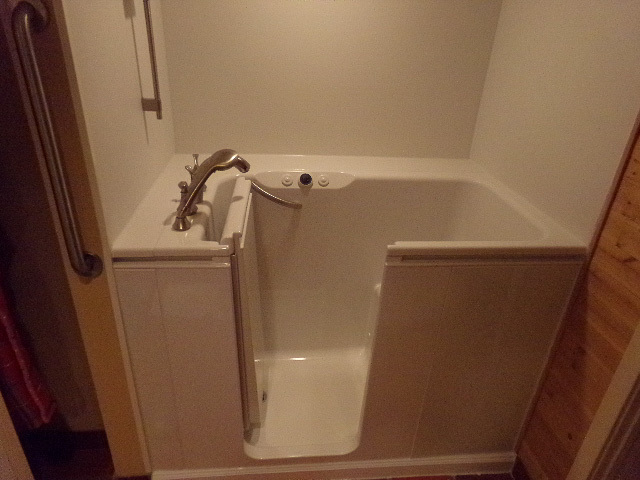 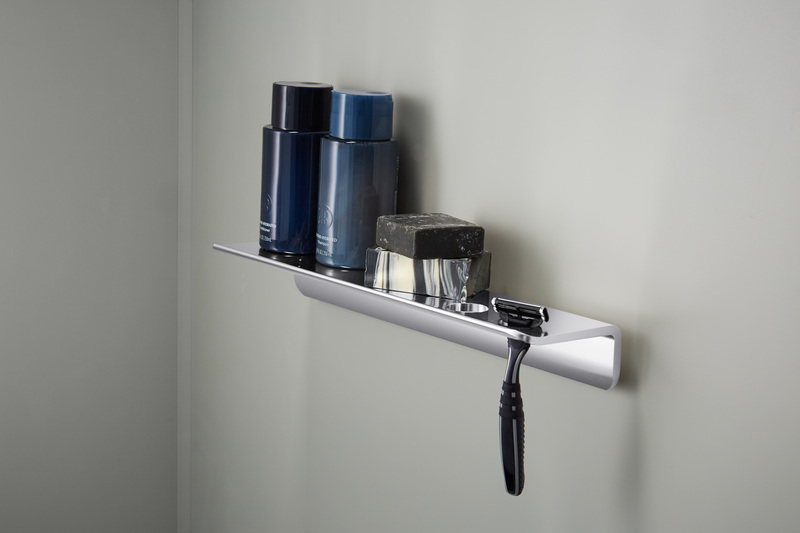 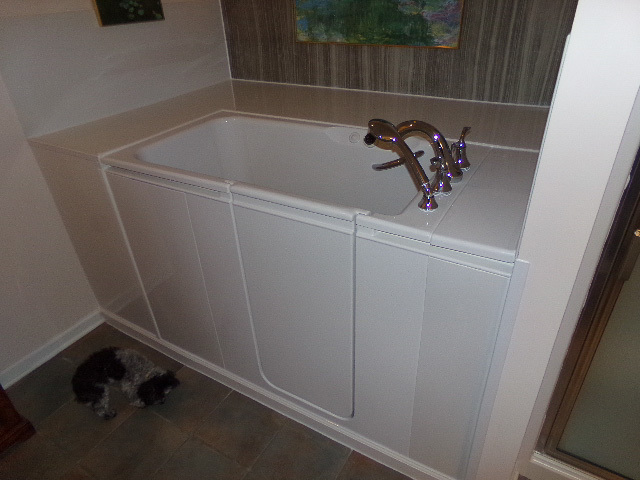 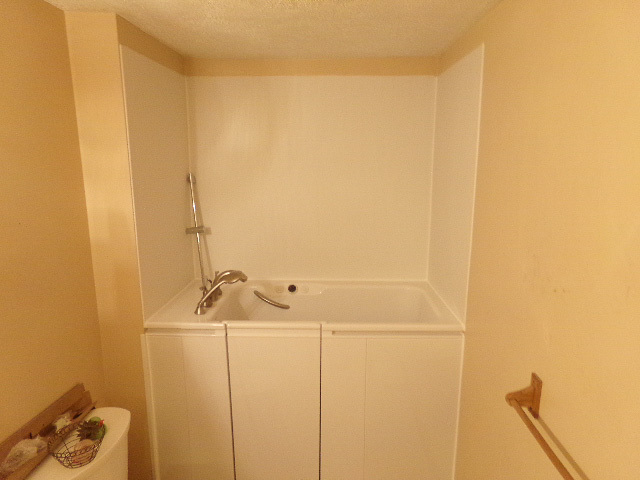 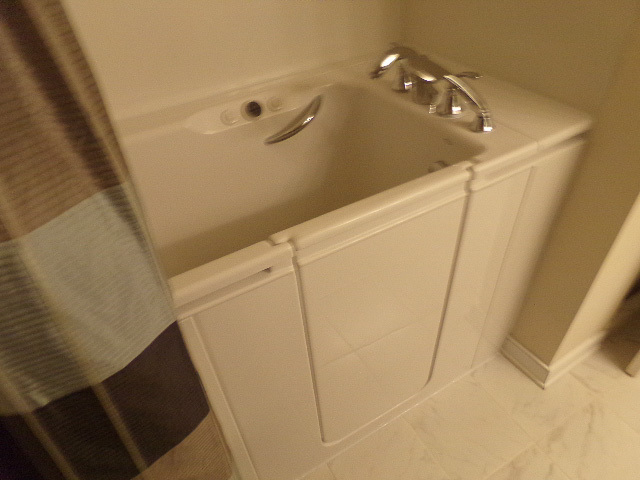 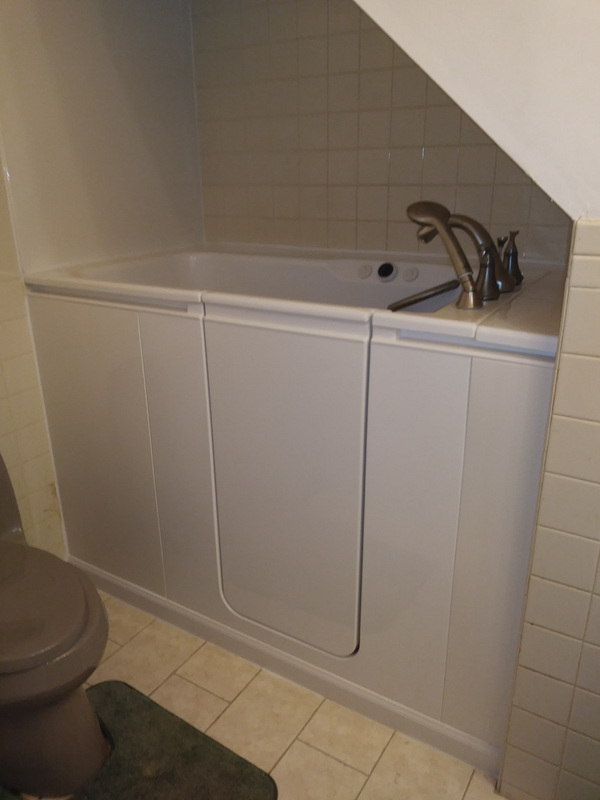 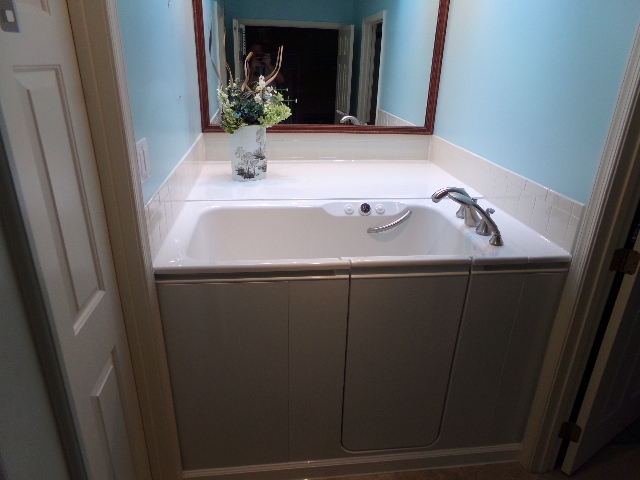 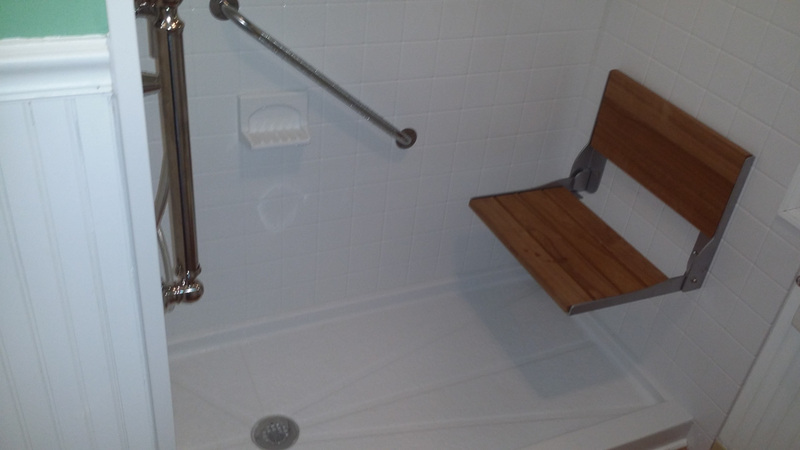 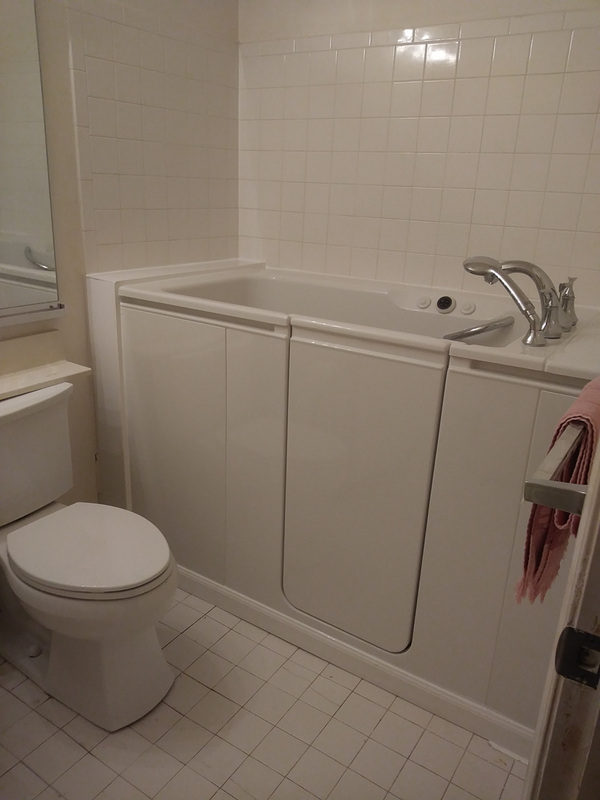 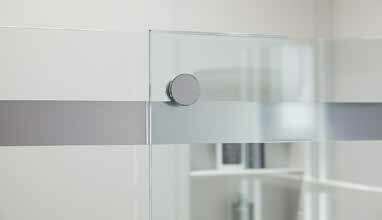 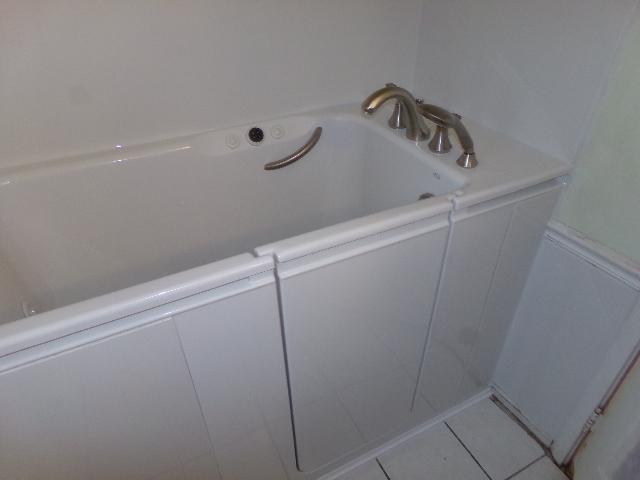 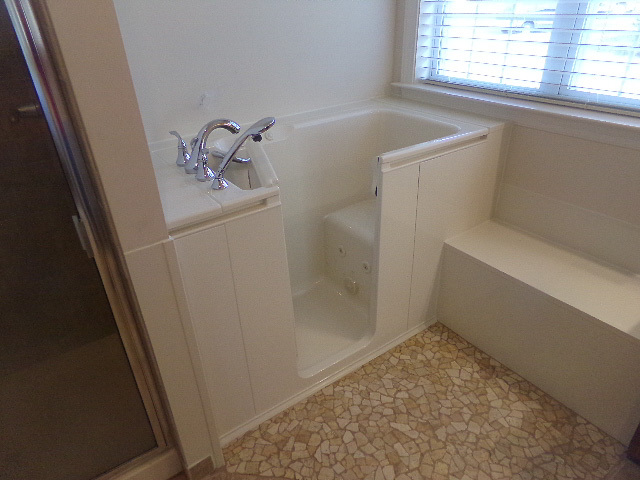 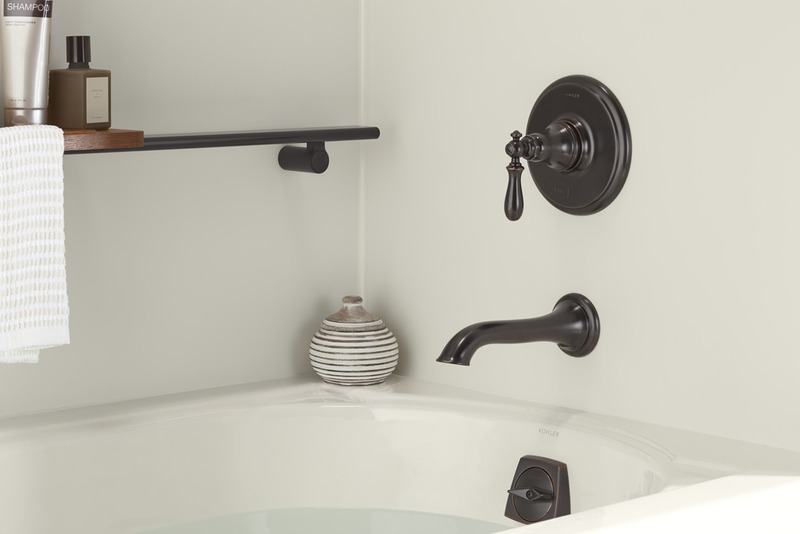 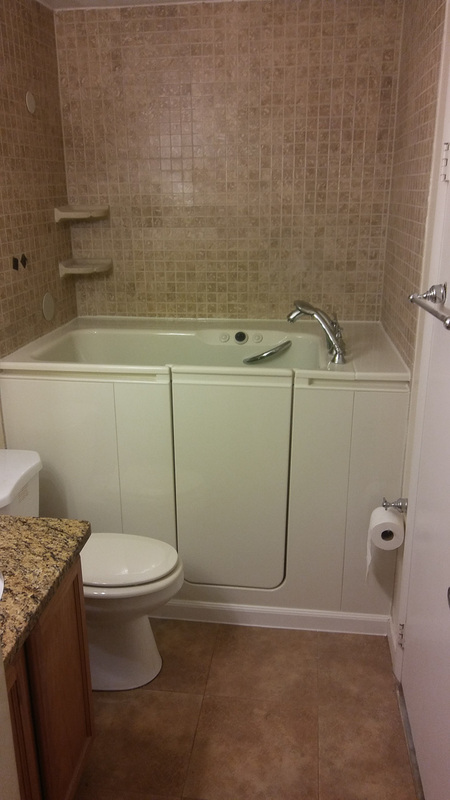 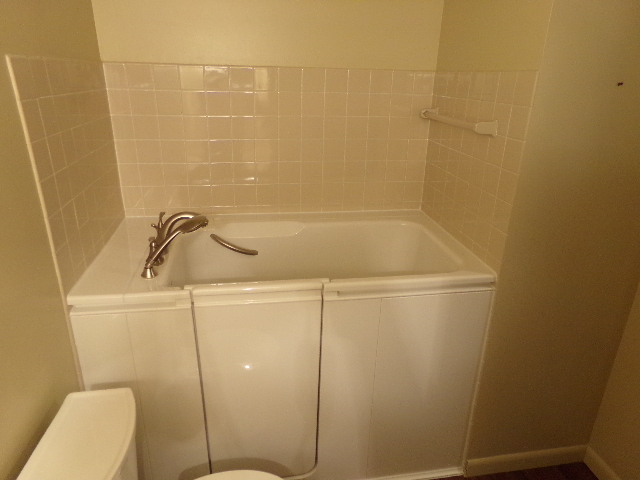 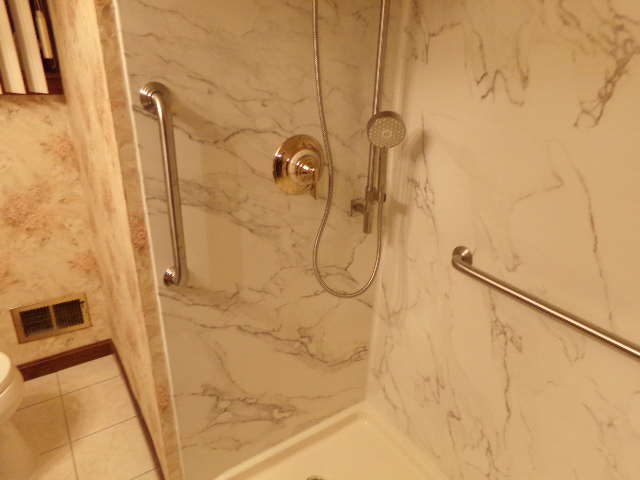 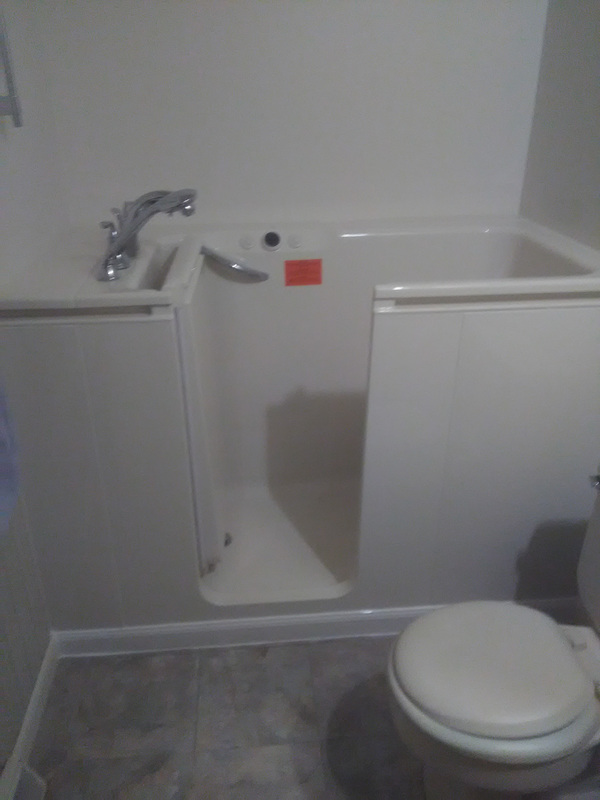 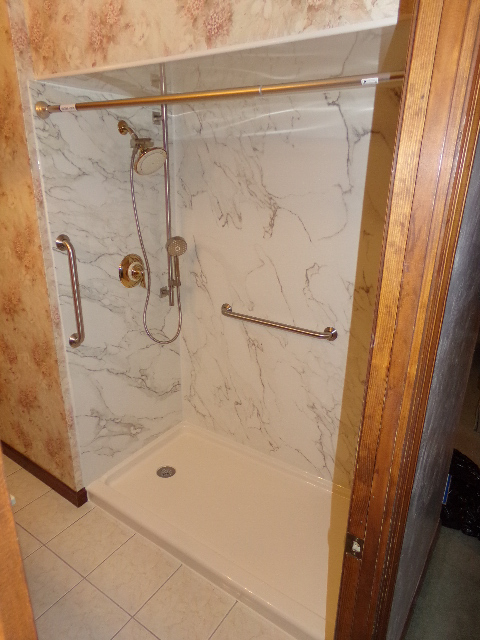 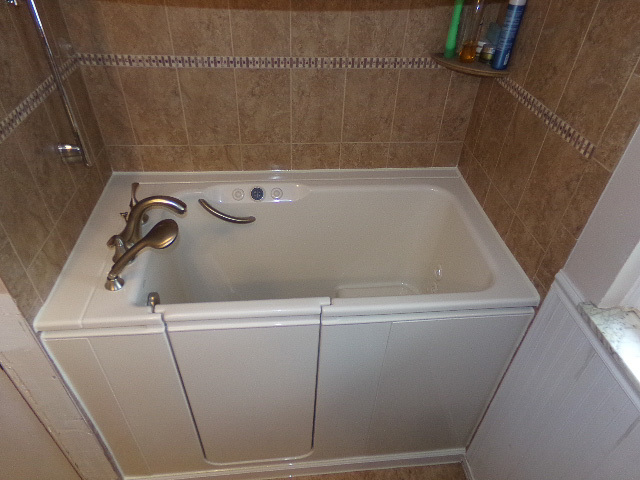 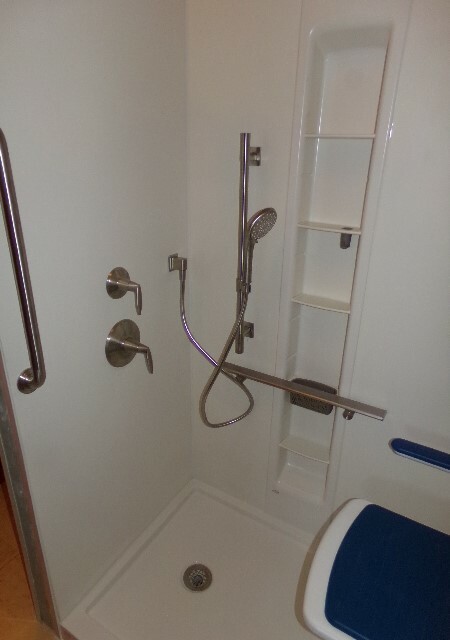 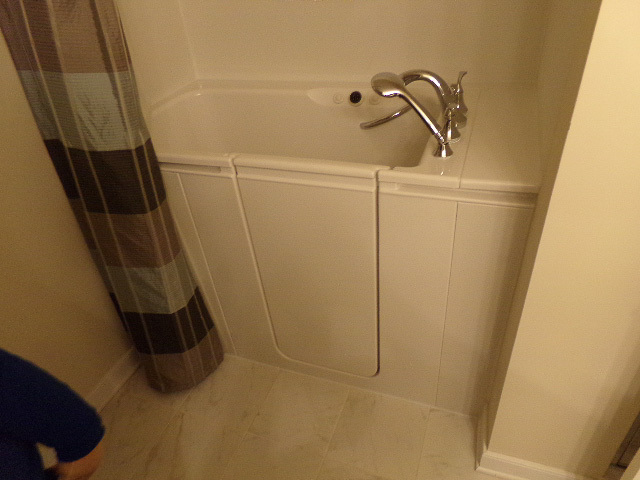 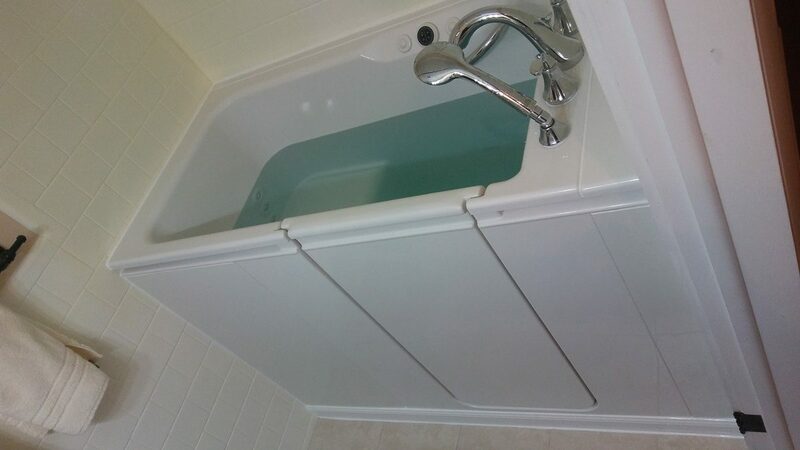 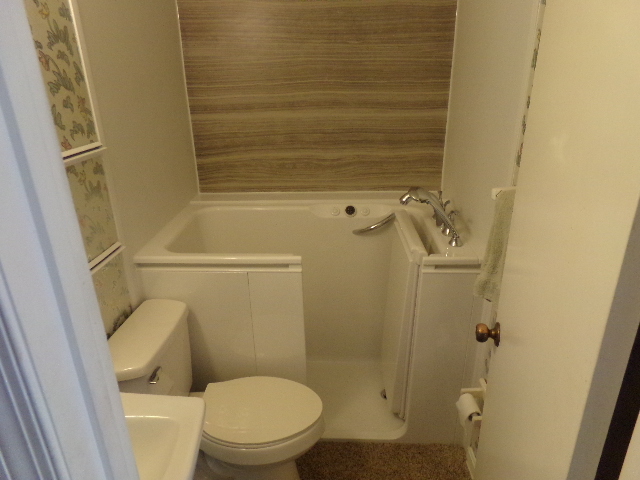 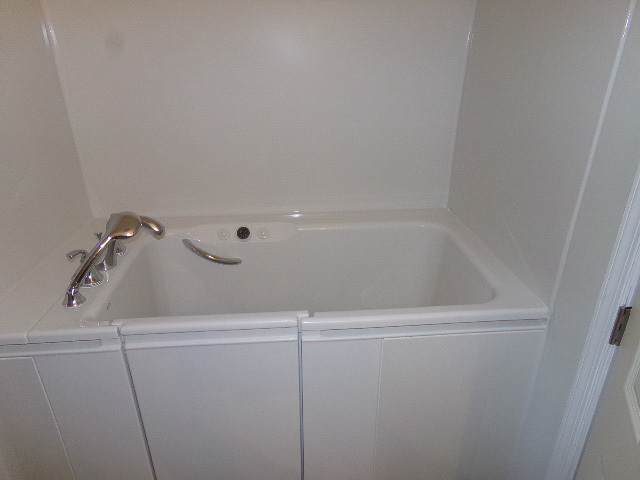 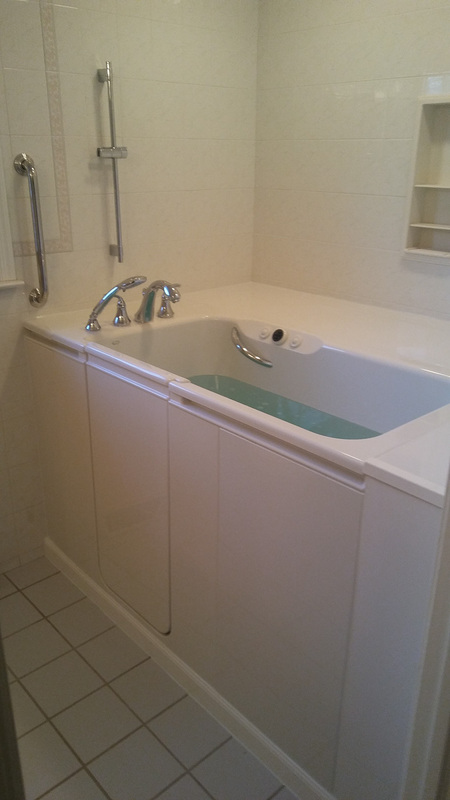 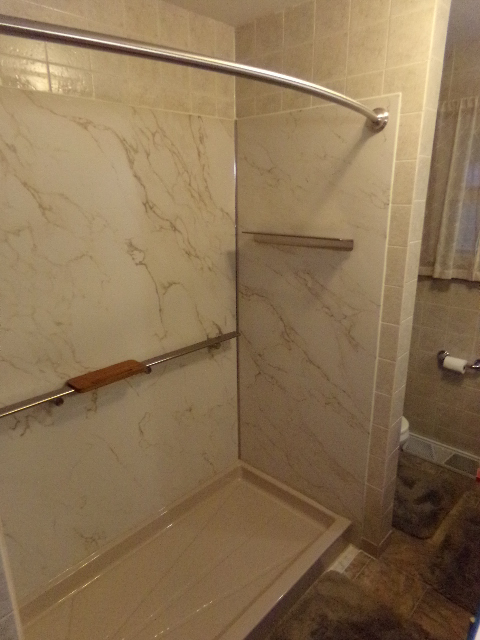 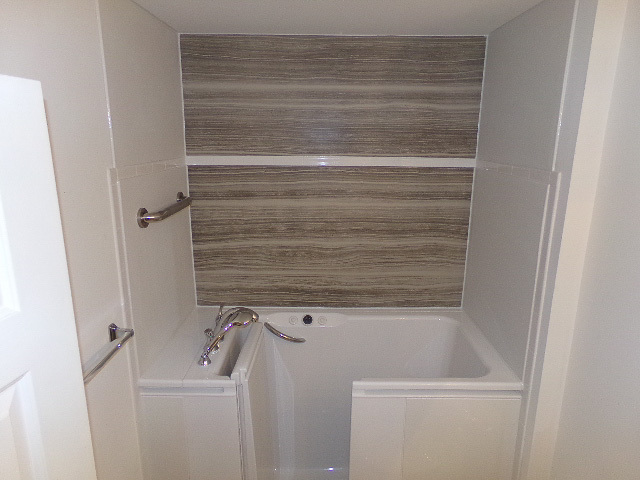 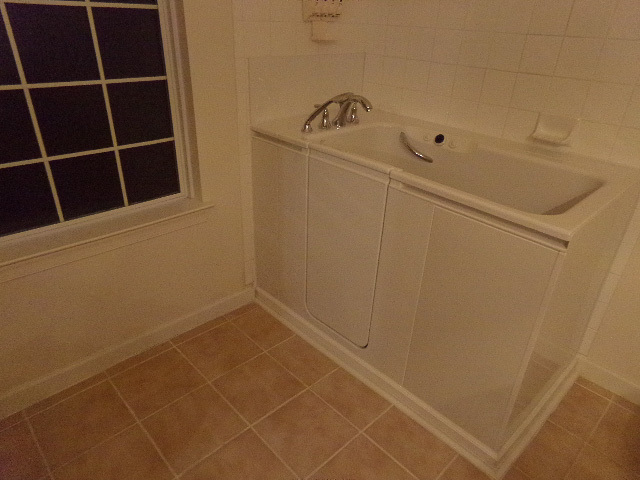 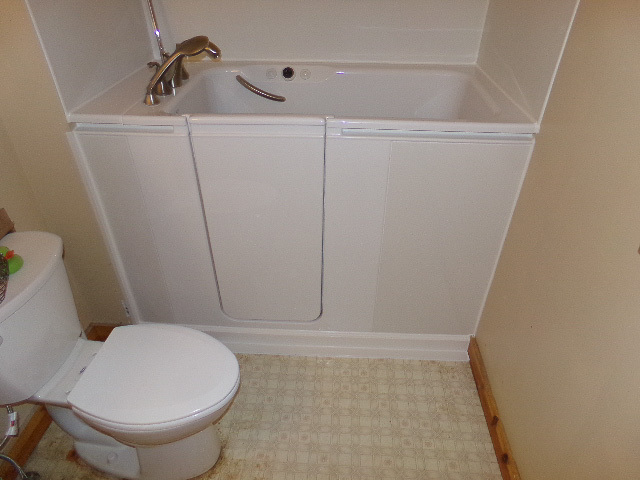 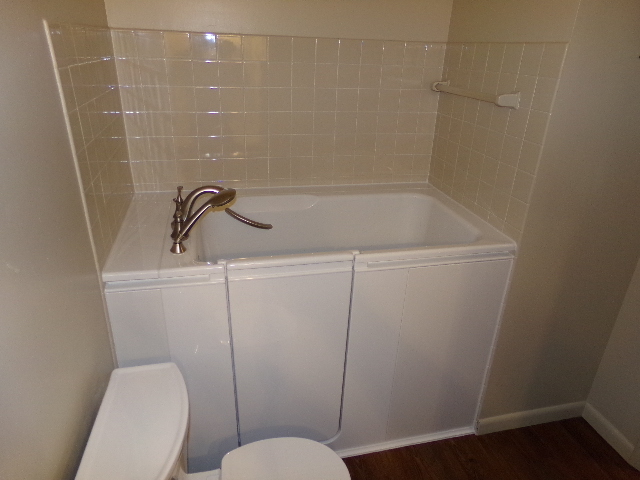 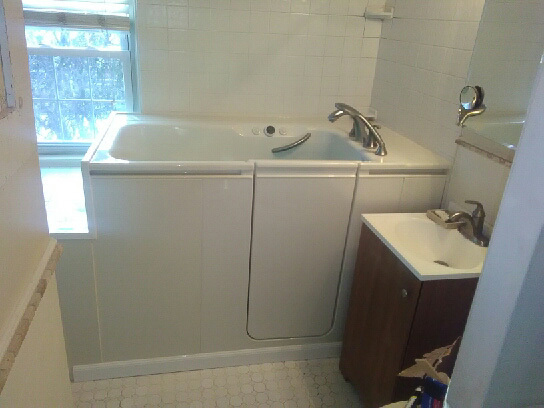 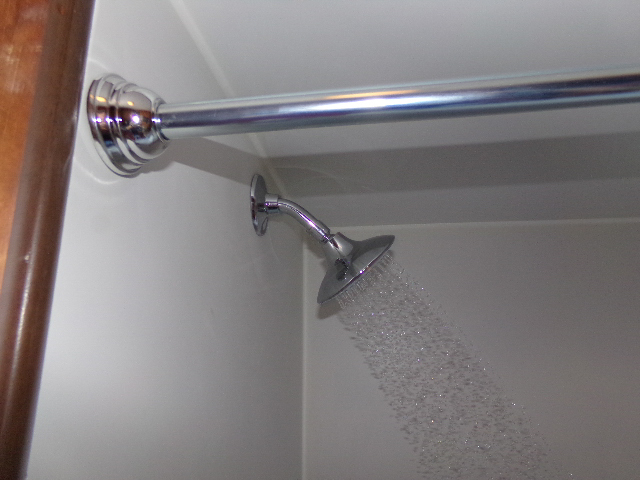 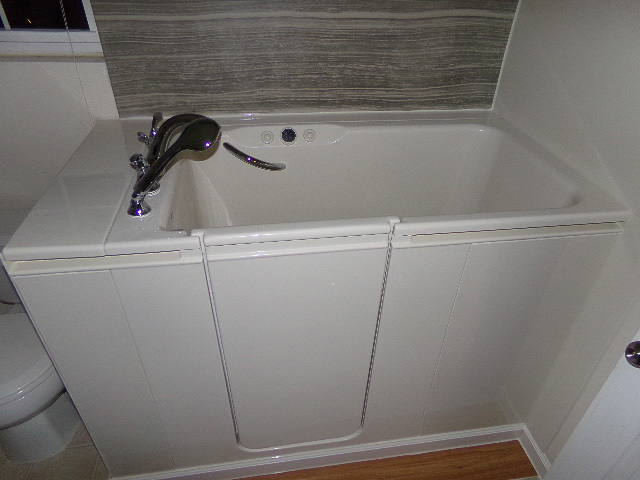 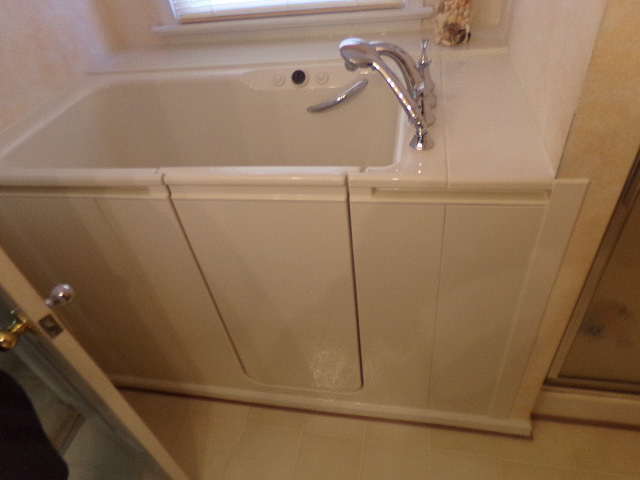 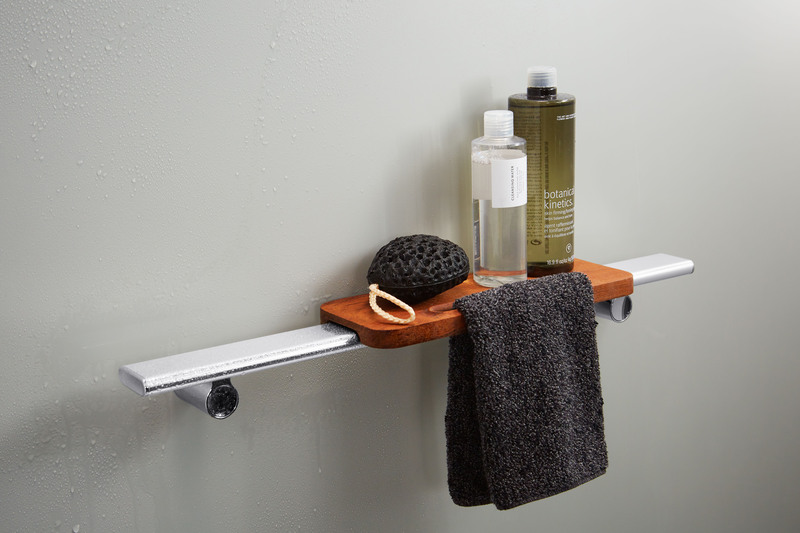 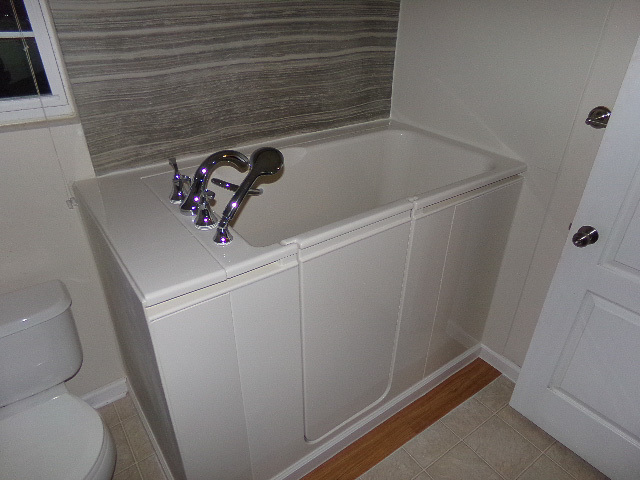 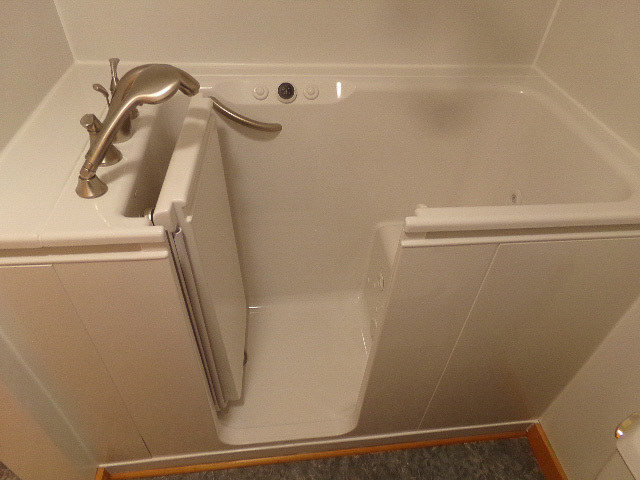 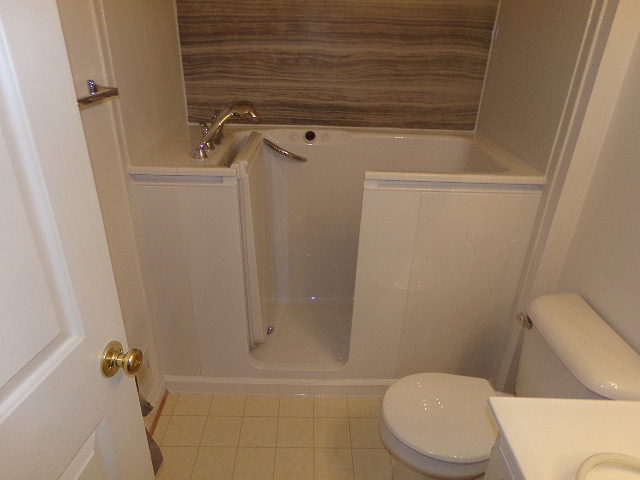 This product comes in a variety of colors and patterns that are unmatched by anything in bathroom remodeling today. 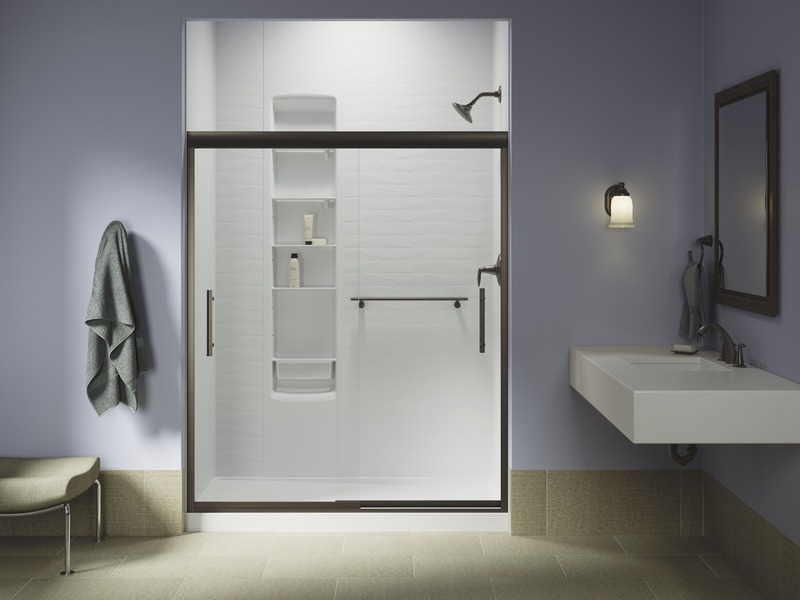 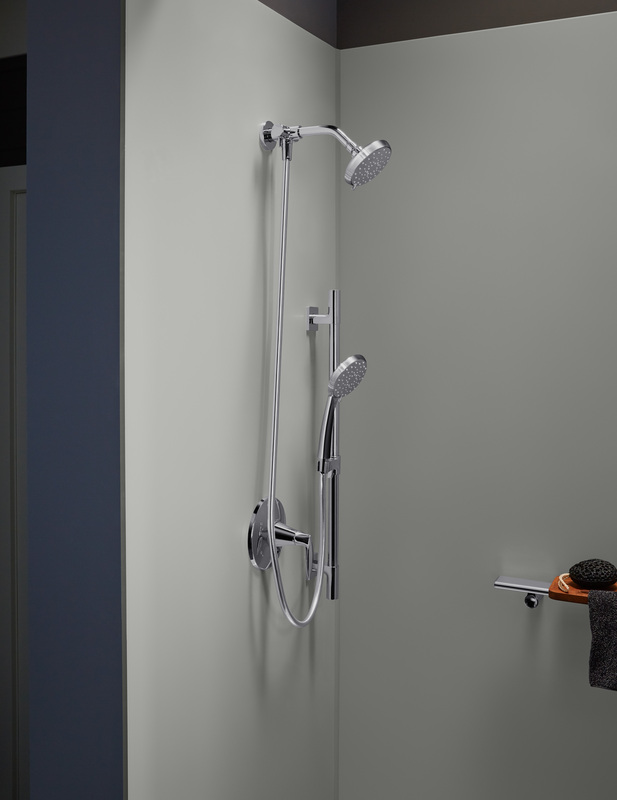 Both the Belay Walk-In Bath and LuxStone Shower System are guaranteed and covered by the Kohler’s Lifetime Limited Warranty, the strongest warranty in the industry today. 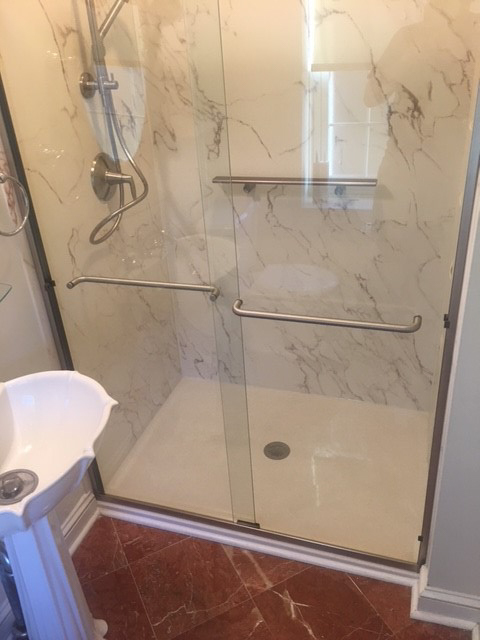 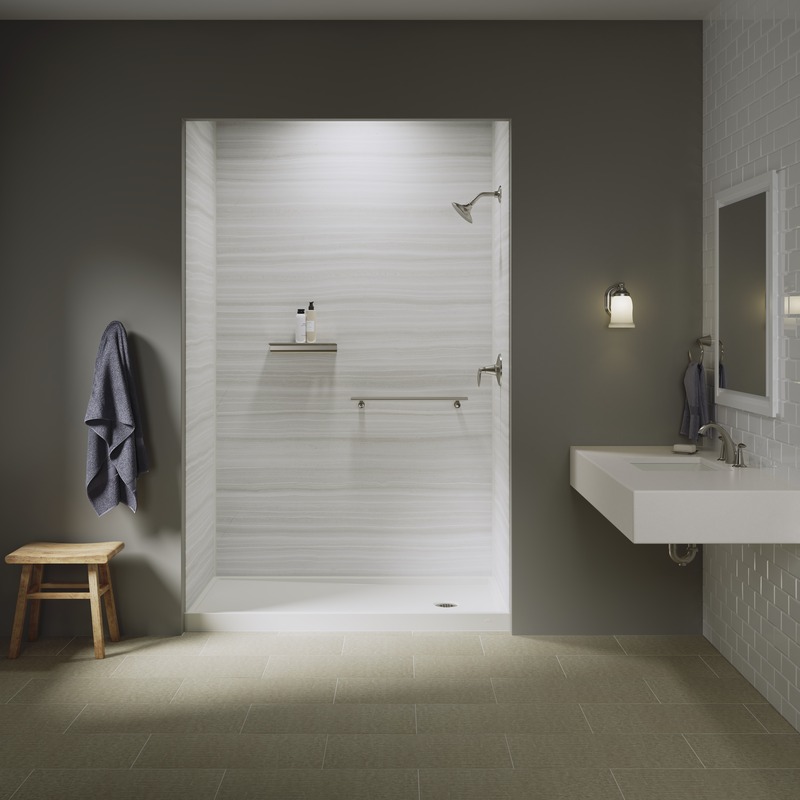 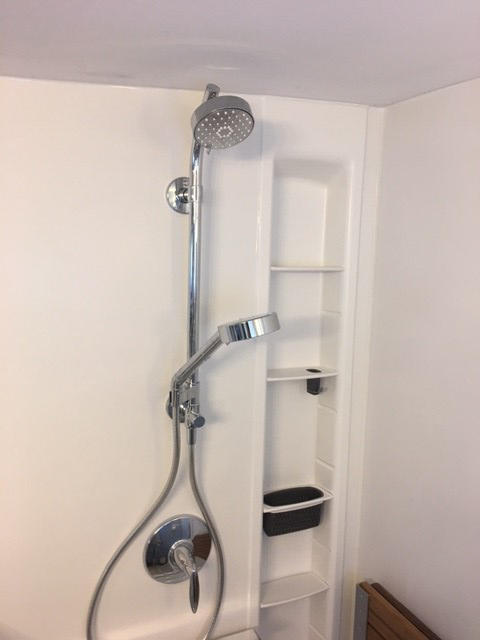 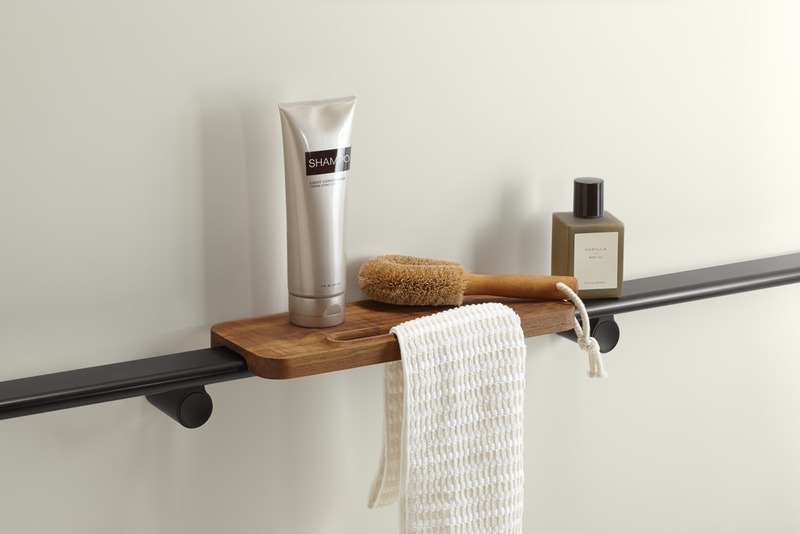 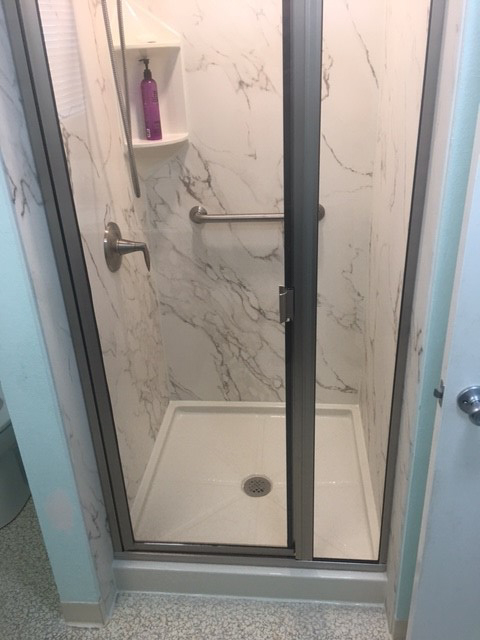 They are both made in America products, the Kohler Walk-In Bath being manufactured in Kohler, Wisconsin and the LuxStone showers in Huntsville, Alabama. 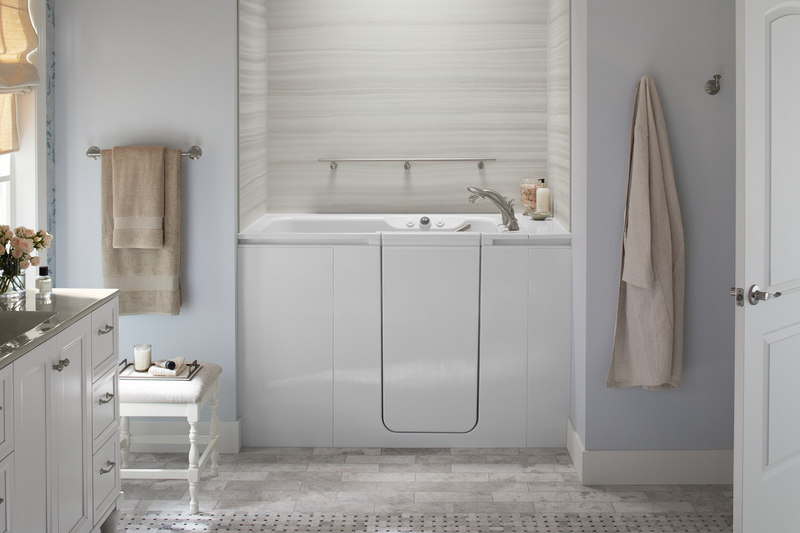 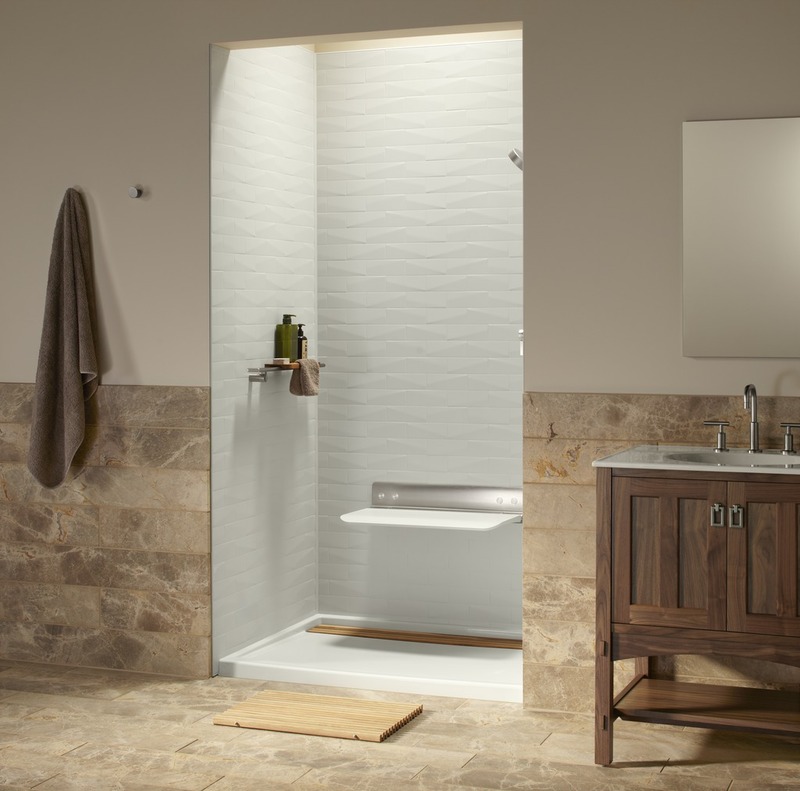 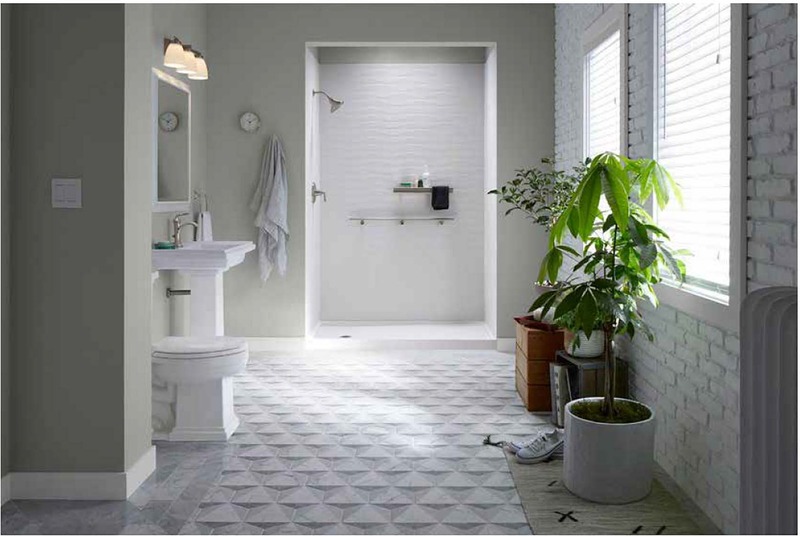 Home Smart is proud to be your Kohler Trained and Certified Dealer for the Kohler Walk-In Bath and LuxStone showers. 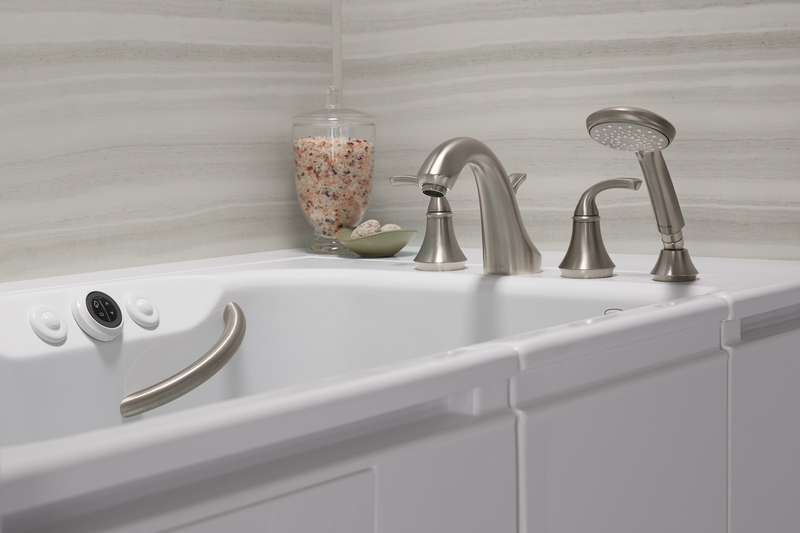 Our service area includes Pennsylvania, Maryland, New Jersey, Delaware, Virginia and Washington D.C. 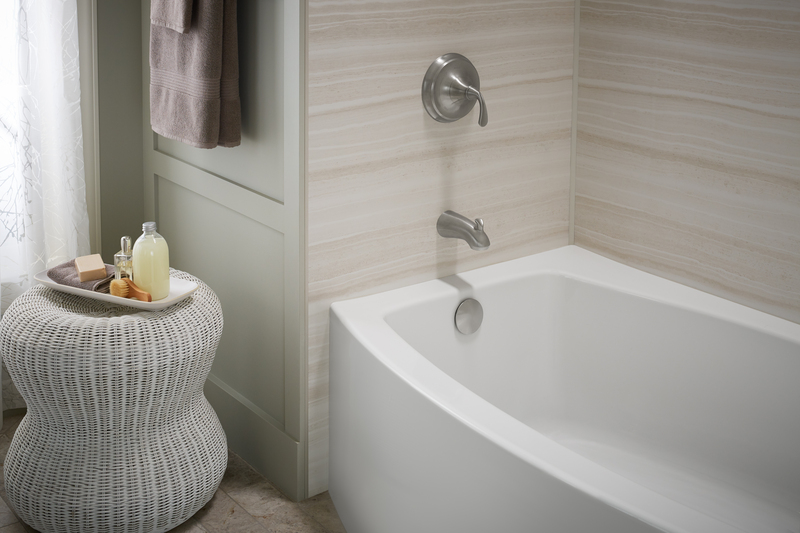 Call today to set up a free, no-obligation quote with a Kohler Certified Specialist.